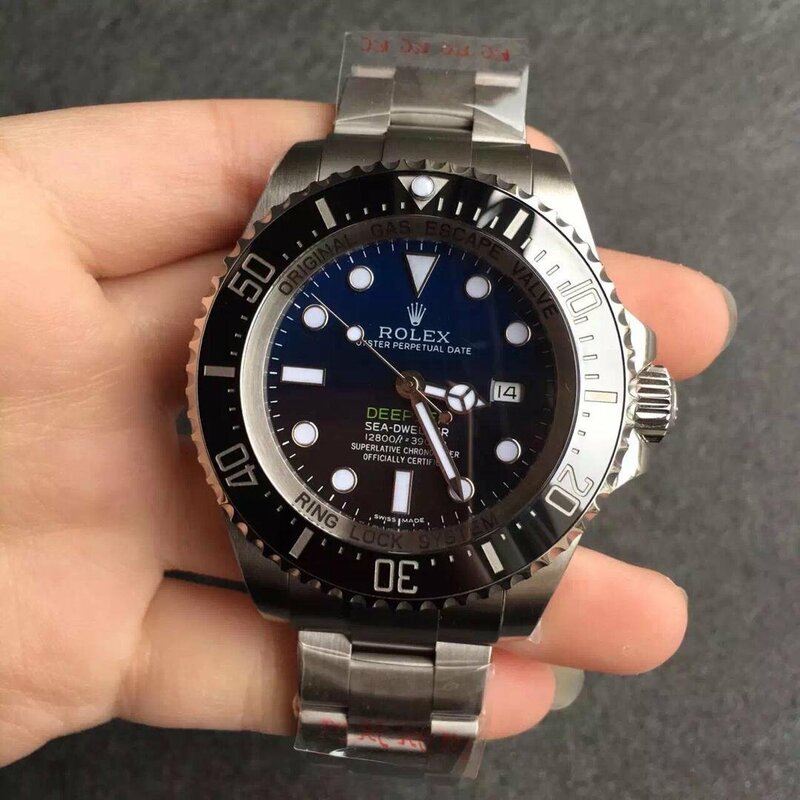 To pay tribute to the historic diving depth record which James Cameron created, Rolex published Deepsea D-Blue watch, which is to memorate the event which James Cameron succeeded in reaching the deepest Mariana Trench under deep sea. 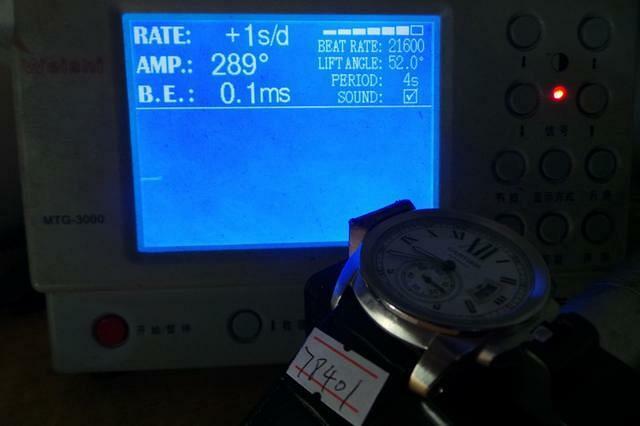 The watch is a high-tech product, with thick case and crystal, best lume material applied on the dial, 116660 could withstand the greatest pressure under water, and the dial could offer you the best readability even in the greatest darkness of Mariana Trench. 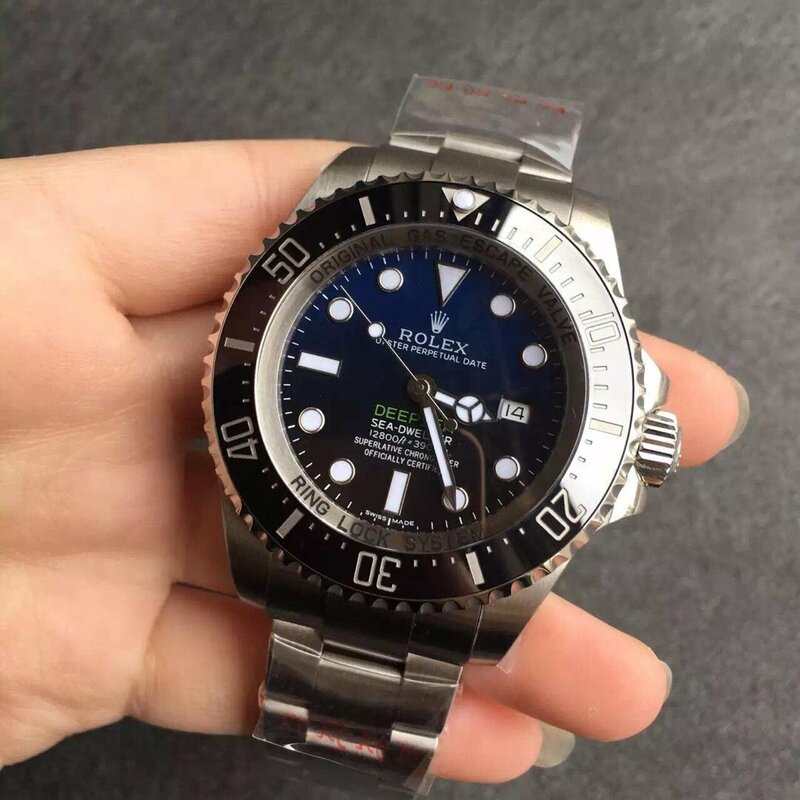 Now I am pleased to introduce the replica watch of Sea-Dweller Deepsea D-Blue 116660, there are two types of this replica in the market, one is in low quality at cheap price, the other is this one I am going to introduce here, it is made by a big famous factory named “Noob”, we call it N. This factory is good at manufacturing good quality Rolex Submariner and Sea-Dweller replicas. 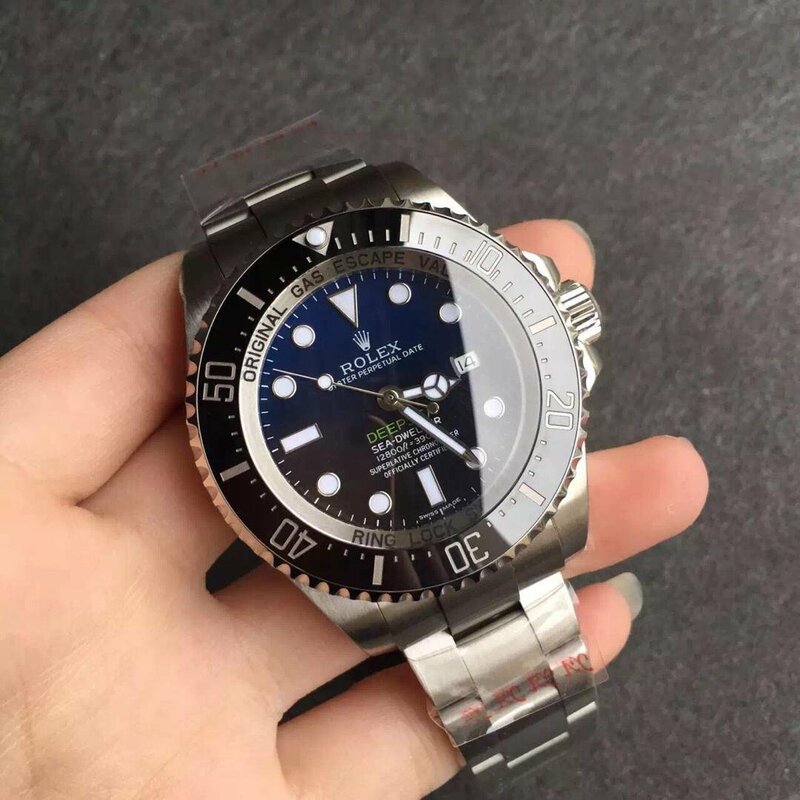 The case is made of 316F stainless steel and has a brushed face, it is 43mm in diameter but seems to be bigger and thicker than other Submariner and Deepsea replicas. 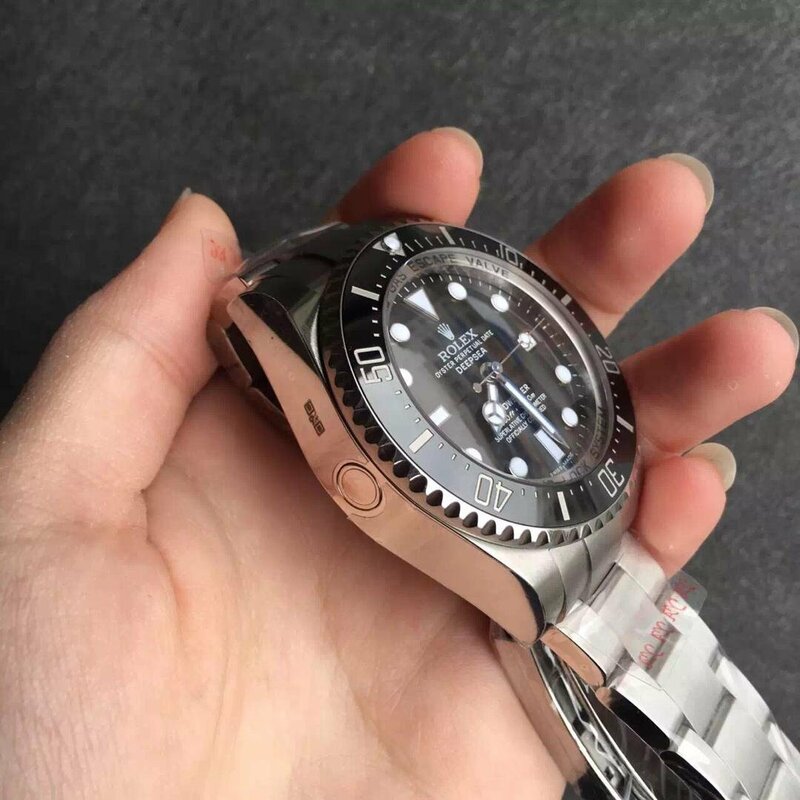 The case head is very big, so making the connecting steel bracelet look narrow, so the whole replica watch does not look as harminous as black Submariner, however, it is made for professional divers, it will act as an important role as long as being able to 3900m waterproof. 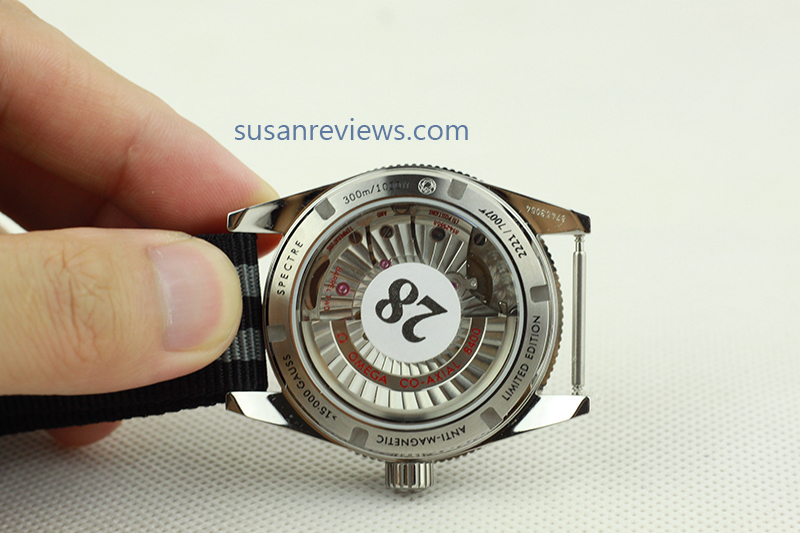 But this replica Rolex 116660 James Cameron watch is water resistant to 50 meters. 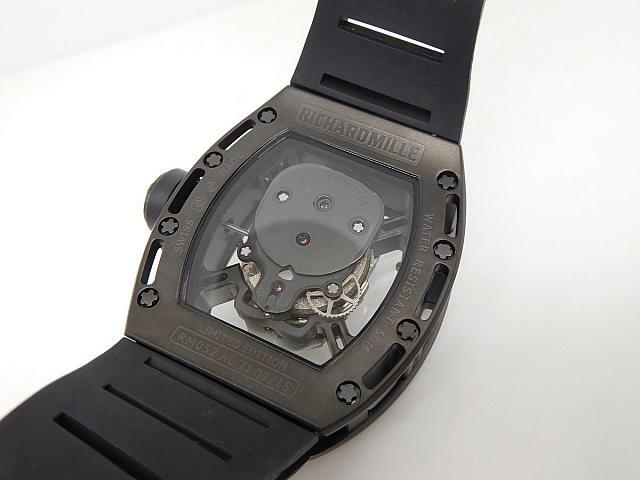 The case back has two pieces, the central black one is Titanium seal, the back has the same construction as genuine watch. 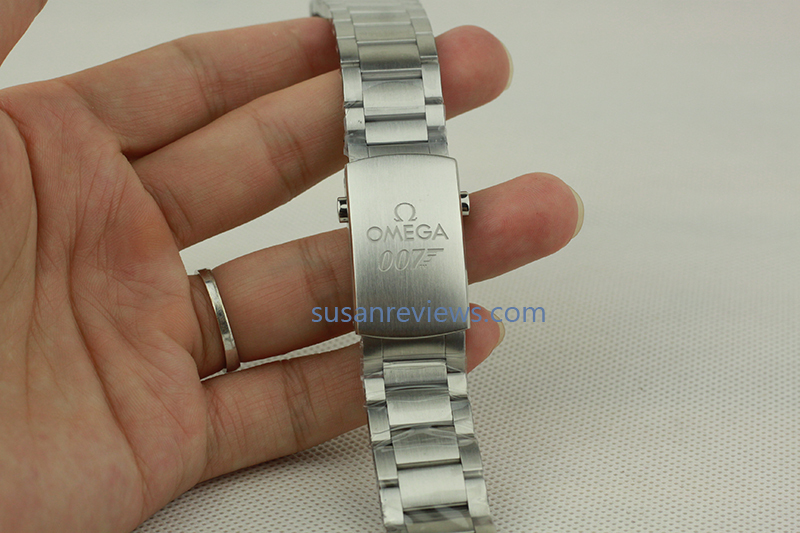 The bezel engravings are filled with platinum painting. The most beautiful place of the replica lies in its dial. 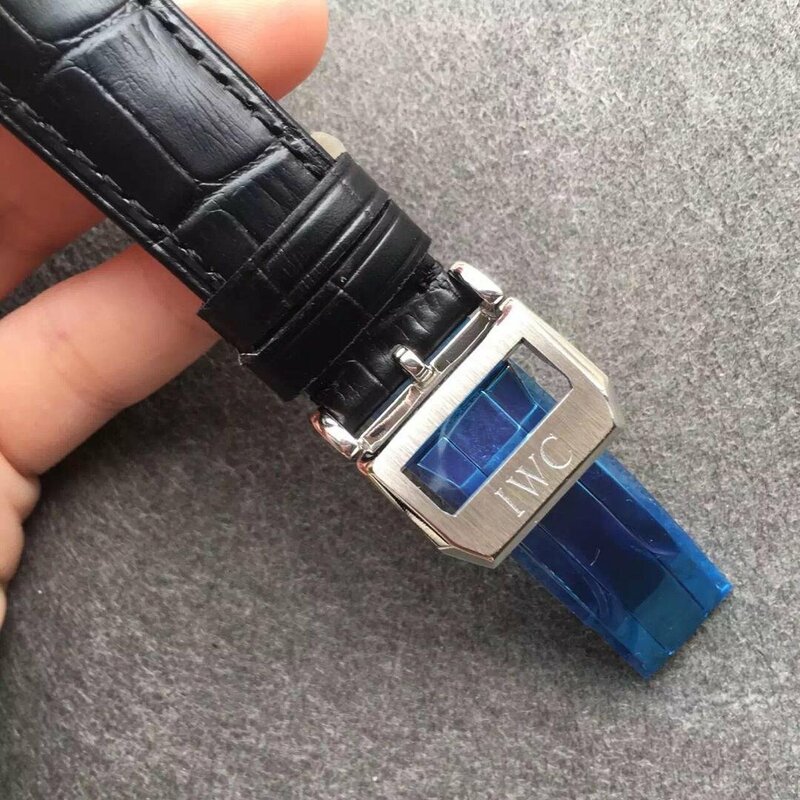 The blue to black gradient of the dial is called D-Blue. 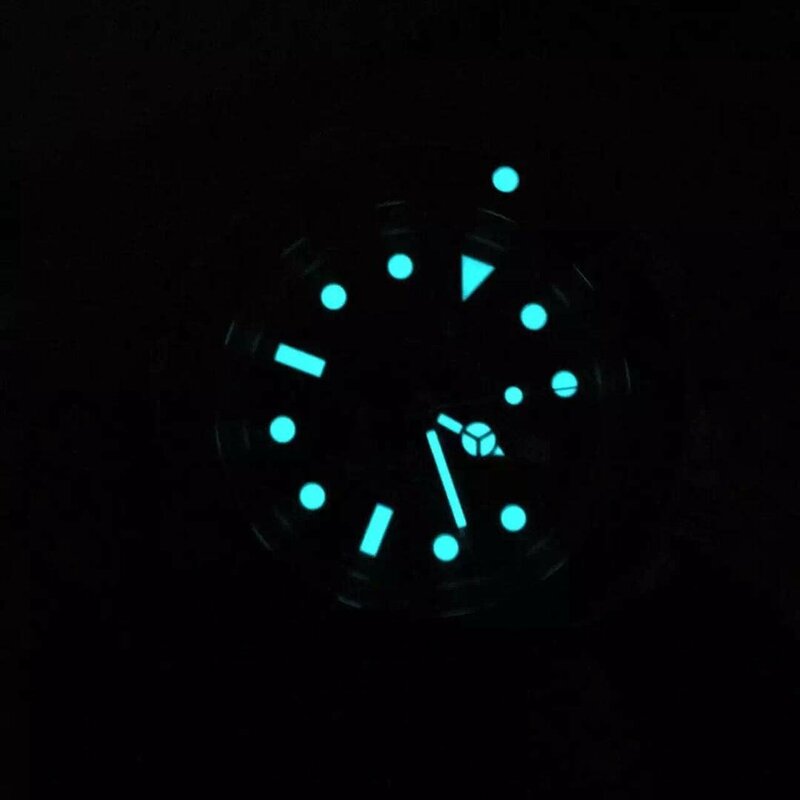 Gradual effect on the dial ia perfect and natural, the upper blue is like ocean color, while the black bottom dial symbolizes the darkest Mariana Trench. 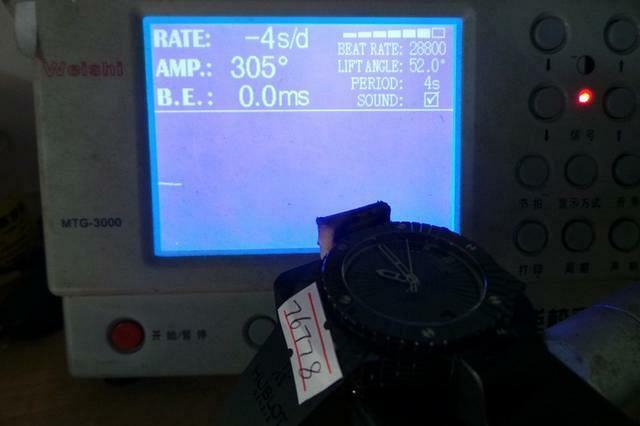 The dial color is 100% the same as genuine watch. 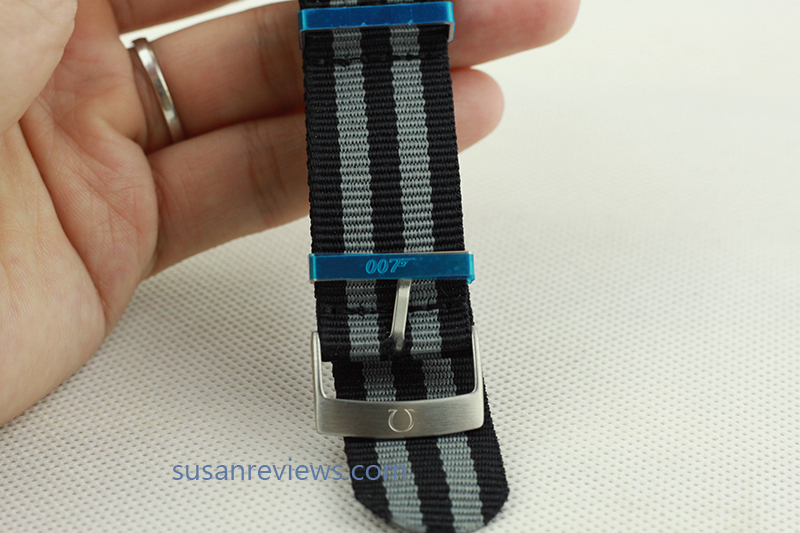 3D hour markers feature silver edge and are filled white luminous material like hands. 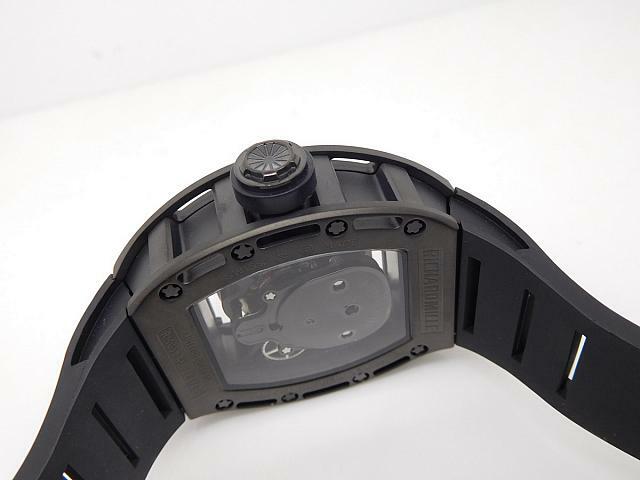 The dial lume is more powerful than any other Submariner or Sea-Dweller replica watches. 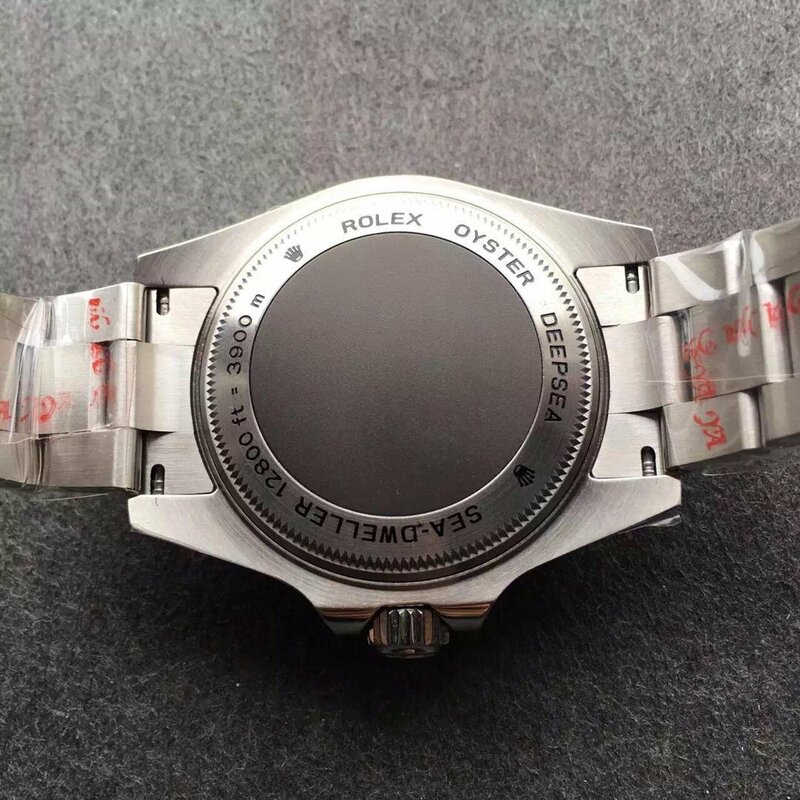 Why this replica Rolex D-Blue watch sold at such a high price? First, its waterproof system is better made, the one-piece screw-down crown features O Ring system, besides, the crown tube is thick and perfectly matches the threads. Second, the better movement is also one reason. 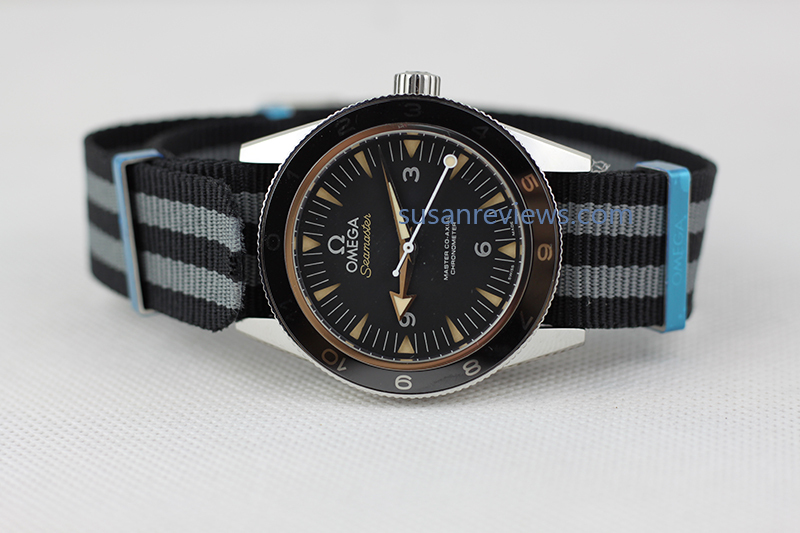 The replica is equipped with a Super Asian 3135 movement, which is the best 3135 currently installed on Submariner 116610 LN and Sea-Dweller Deepsea. 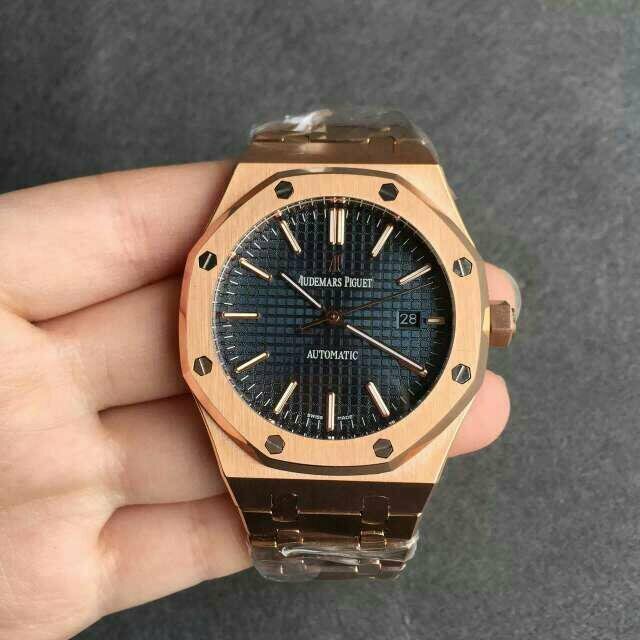 Do not be cheated by other scam dealers, they usually charge you the 3135 movement fee but sending you an Asian ETA movement watch, if you want to know how to identify without opending the case back, please leave comment here. 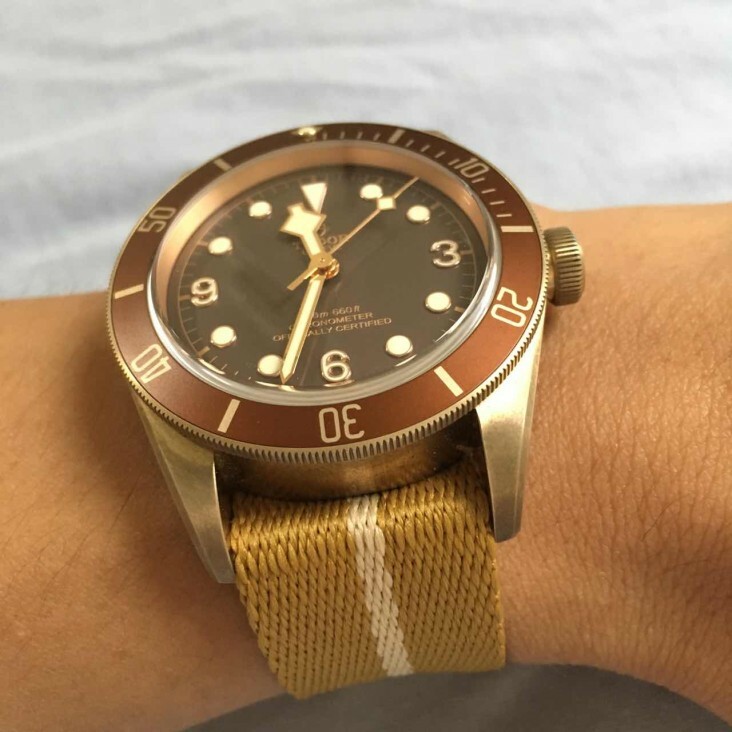 Genuine watch is the latest 2016 model in Basel, Tudor Heritage Black Bay Bronzo attraced watch fans’ attention for its case tone – bronze. 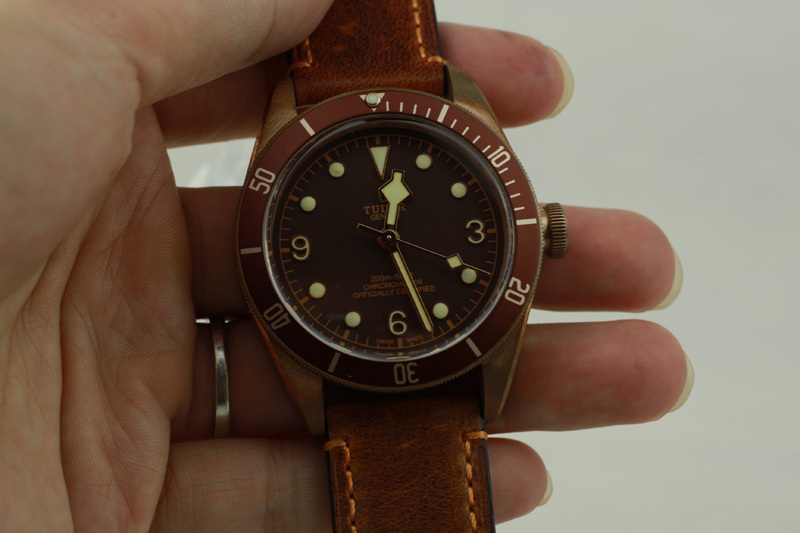 In our market, two factories published the replicas of Tudor Bronze watch closely follow after each. They are V6 and ZF. 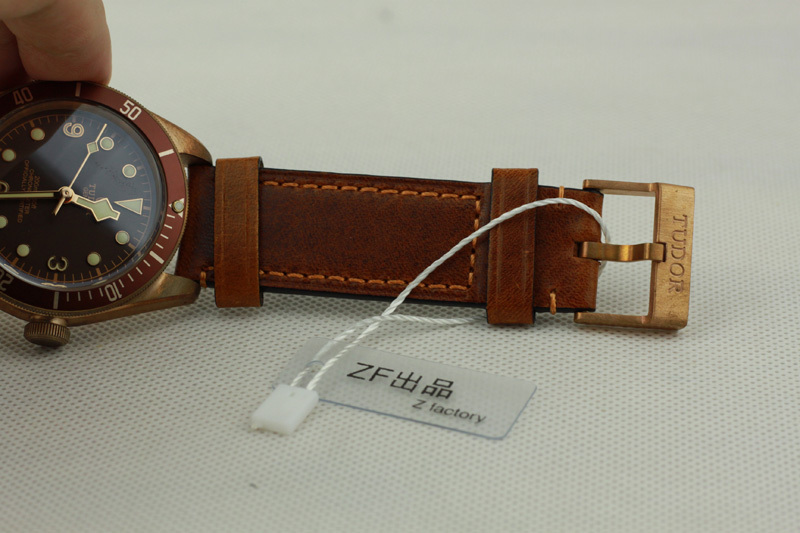 The replicas released by them are all in good quality, I prefer ZF version, because I think V6 is more experienced in replicating Panerai watches. 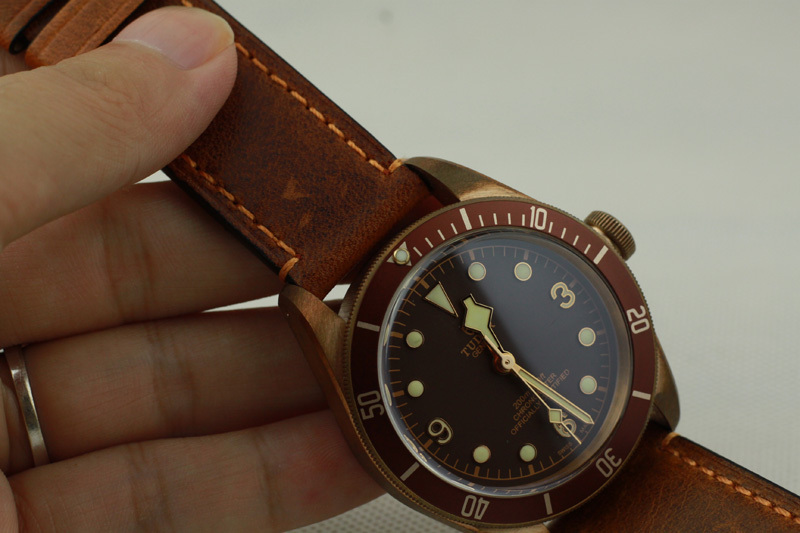 The case of replica Tudor uses bronze material to make, actually there are two replica watches having used bronze material, one is PAM 382, the other is also a Panerai watch, it is PAM 507. 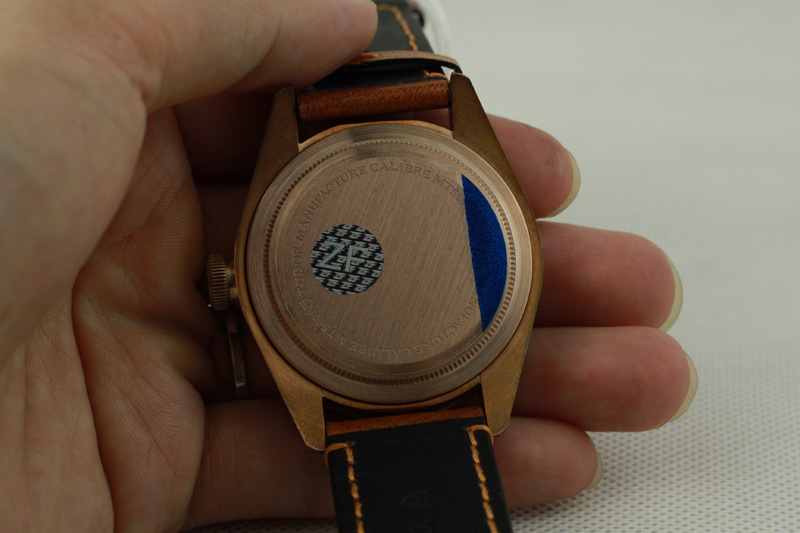 I have to admit that bronze case makes these watches look more vintage. 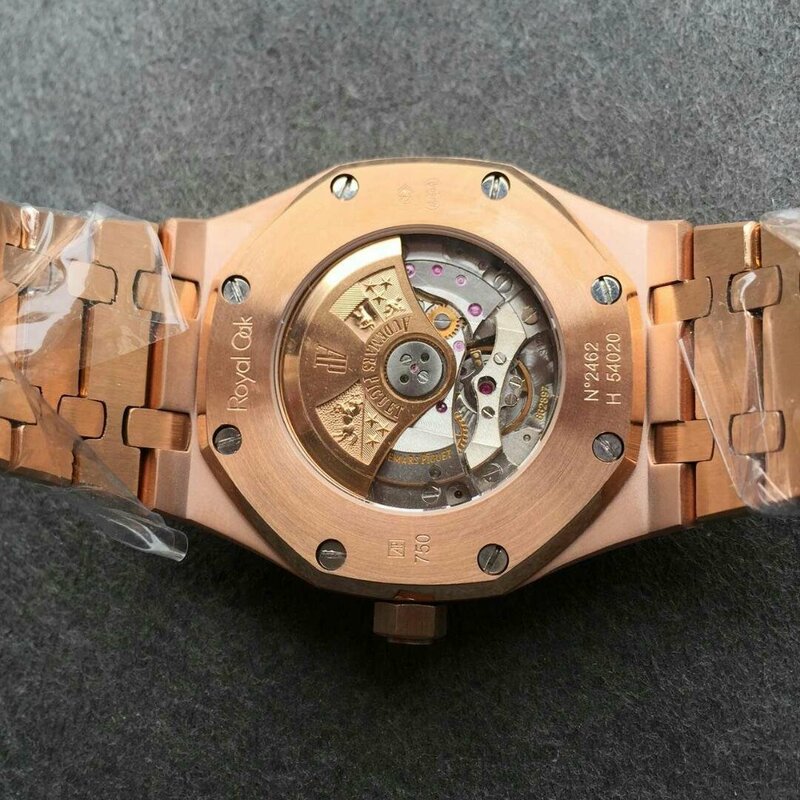 The bezel is brown insert with white diving scales, it is uni-directional rotating. 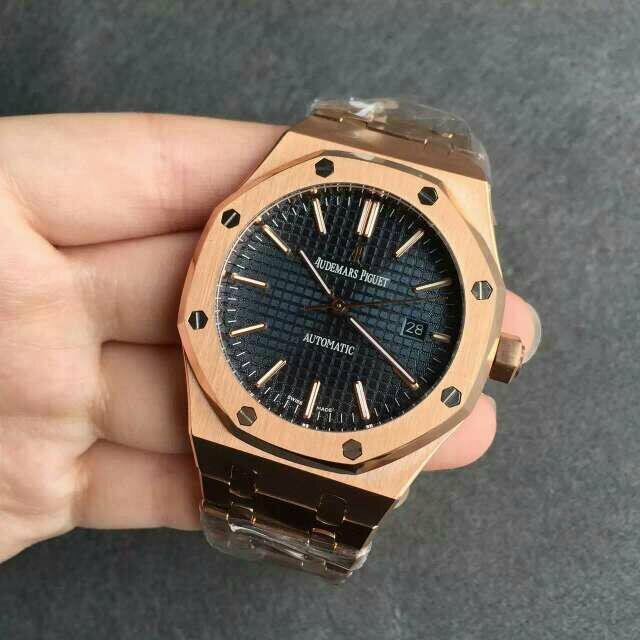 I have noticed that the case is a little dirty, that is not quality problem, maybe the genuine watch also has this brushed effect. 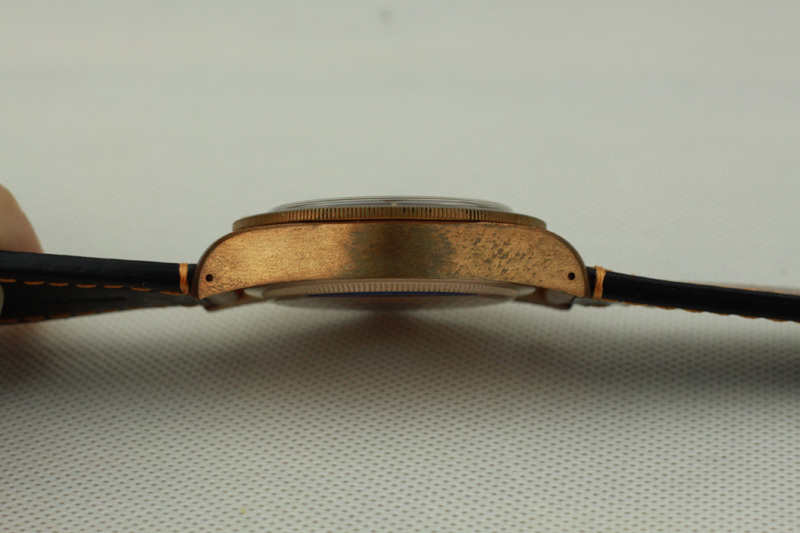 On brown dial, all hour markers and central hands are applied with white luminous material, the color of dial printings is also very close to case’s bronze tone. 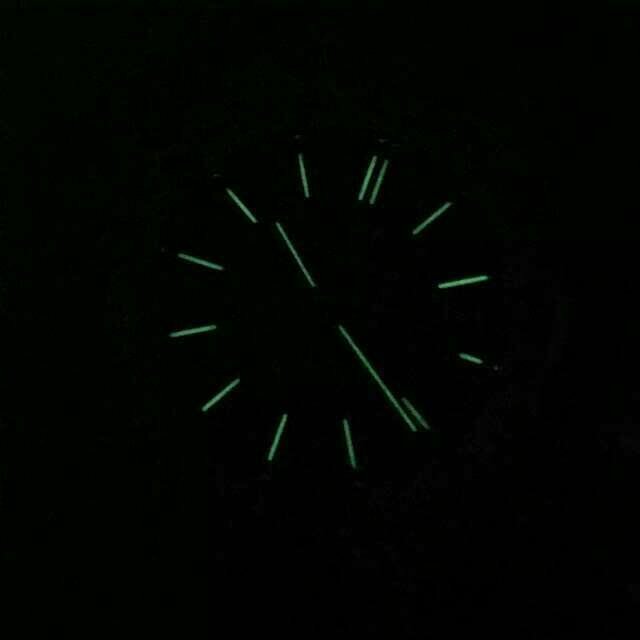 The dial lume color is super green, so is the bezel pearl. 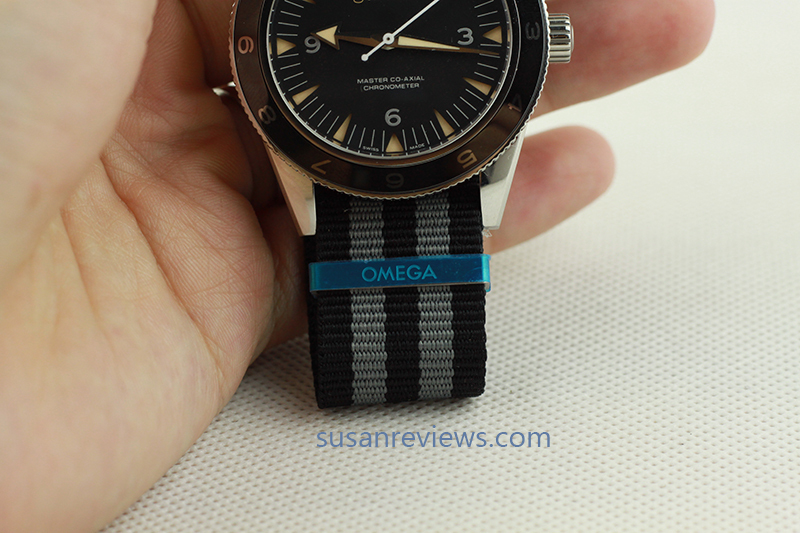 The dial indicates that the watch is 200m water resistant, however, the replica is only 30 meters waterproof. 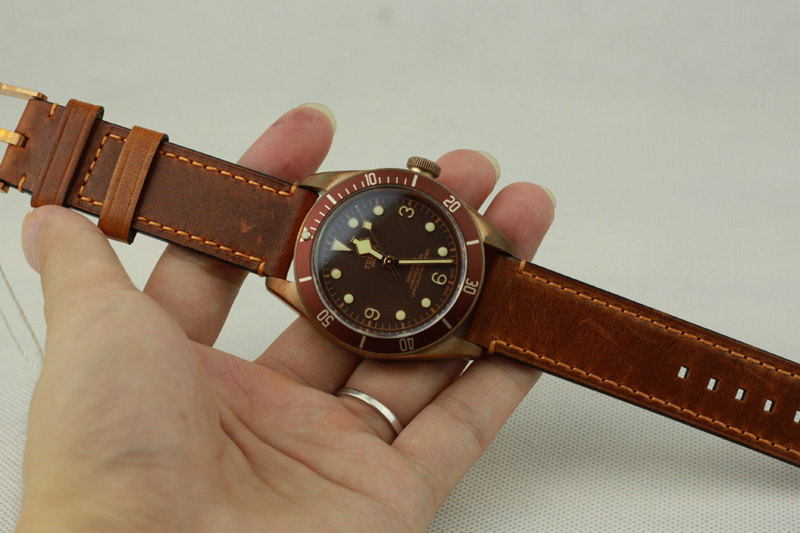 Brown leather strap has a distressed outlook, the brown color is just matching bronze tone on case and brown dial. 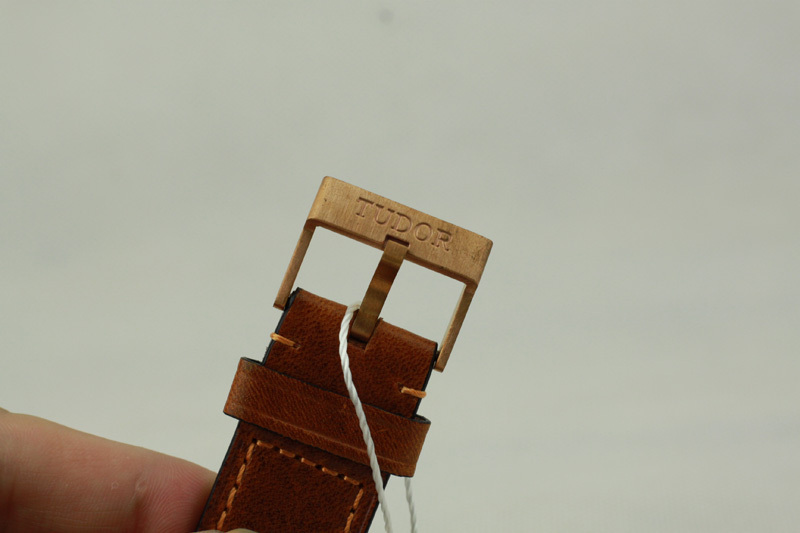 The inside leather is black with Tudor Shield Logo and “TUDOR” as well as “GENUINE LEATHER”. 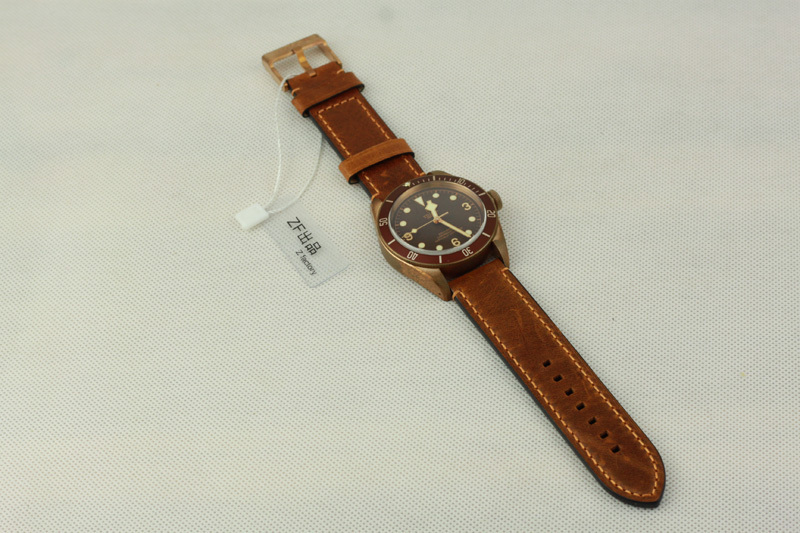 By the way, order this replica watch with get one pair of brown nylon strap for free. 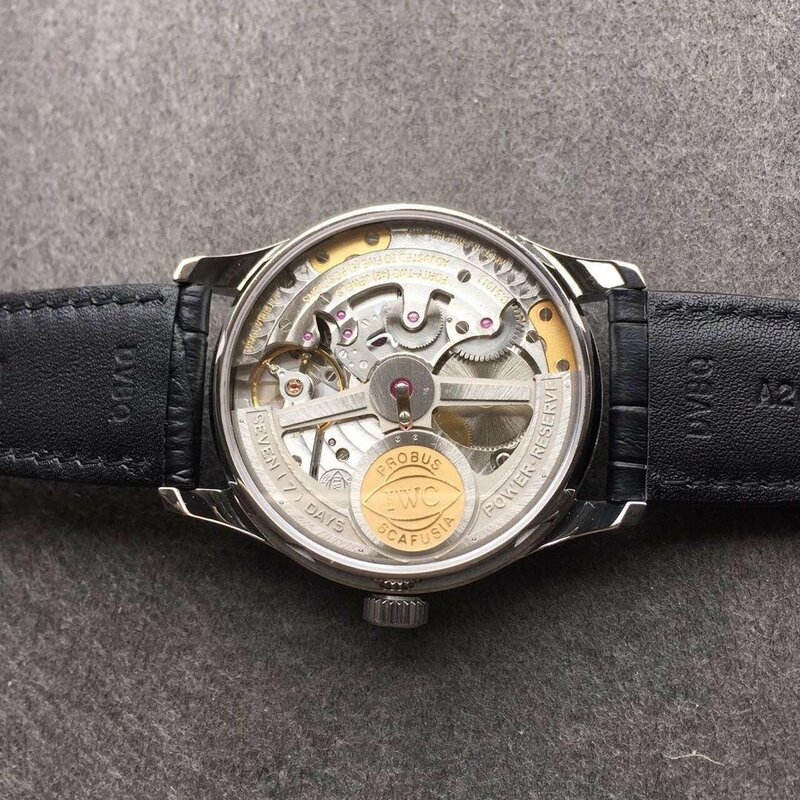 The replica is equipped with an Asian ETA 2824 movement, it is regarded as the most stable automatic movement in our market, and mostly used on replica watches by factories. 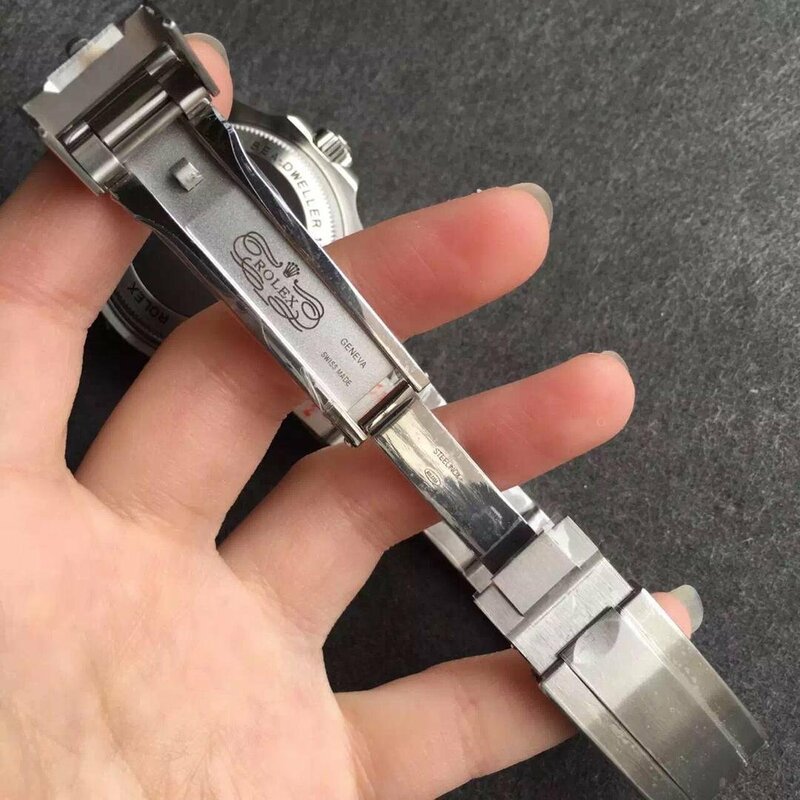 The inaccuracy of the clone ETA movement is within 3 seconds each day, in order to maintain a better accuracy, you’d better wear it every day and do not let it stay alone for a long time without winding. 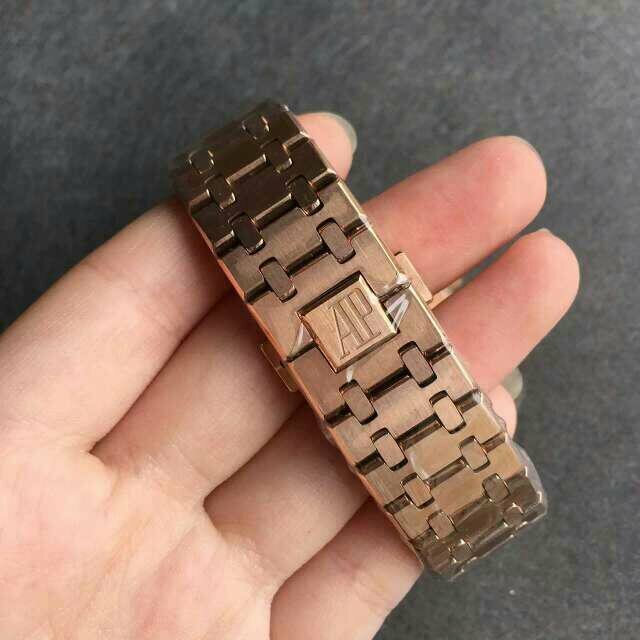 Wearing such a vintage bronze watch will absolutely catch much attention from the crowd, especially very suitable to go along with you in summer holiday. 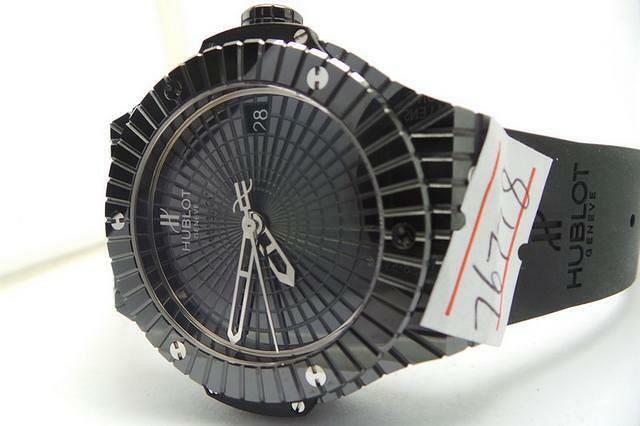 For men, owning a dedicate wrist watch is like an amazing artwork in hand since its beauty is so unforgettable. 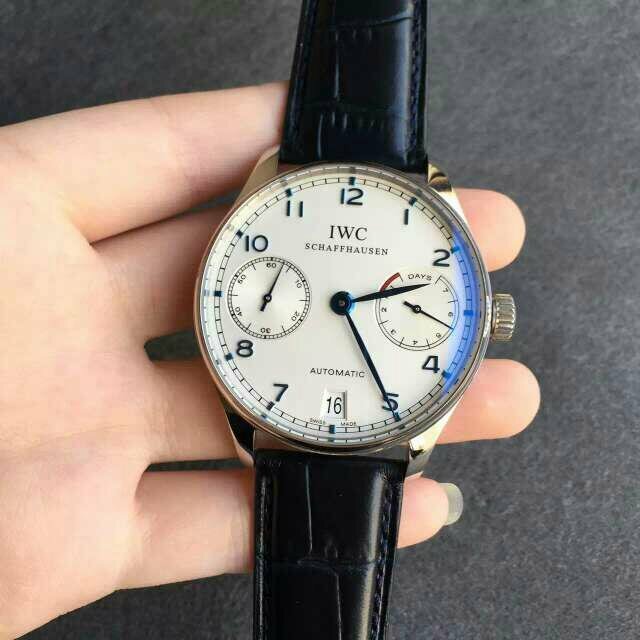 Yes, now I am going to introduce a replica IWC Portuguese IW500705, it is really a classic artwork. 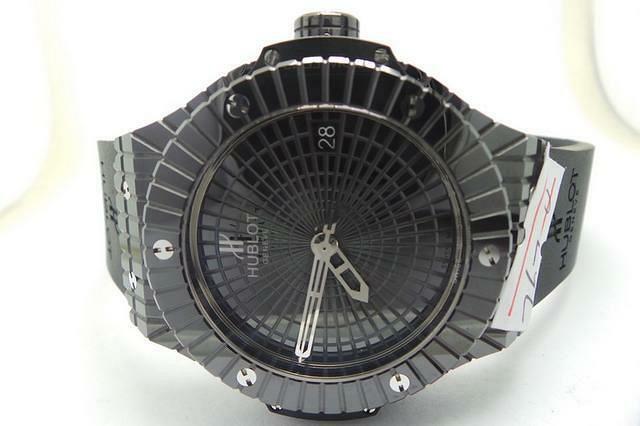 It is the edition of V2S, its workmanship is almost perfect, and near original on the whole. 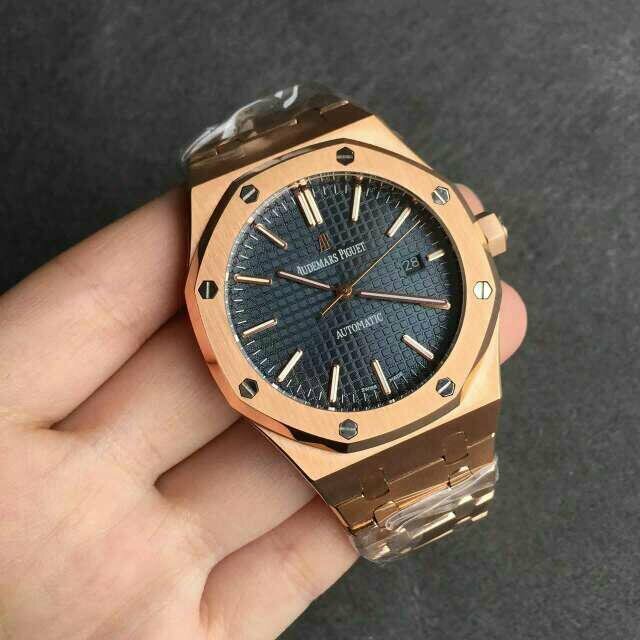 This replica with a big white dial,42.3mm, it is easy to see time having this design, and collocates with blue hand, it can up its charming glamour and be more attractive at the same time. There are some details also reveal the symbolic design of Portuguese collection fully. 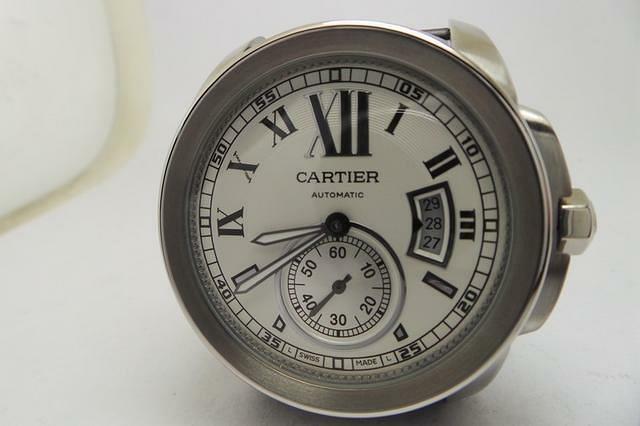 For example, its dedicated minute ring is liked track, the relief Arabic numerals, the dedicated leaf hand. 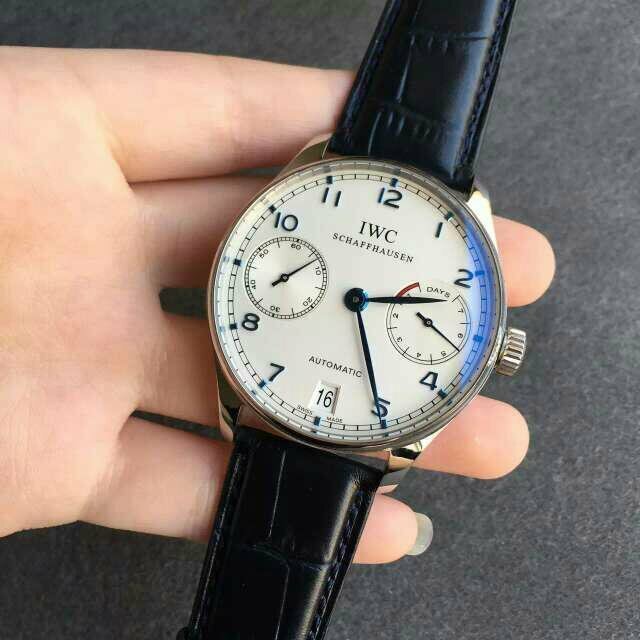 What’s more, combined with white dial and blue hand, it is really more vivid as a whole with this detail. Almost all these details are designed for gentlemen specially. 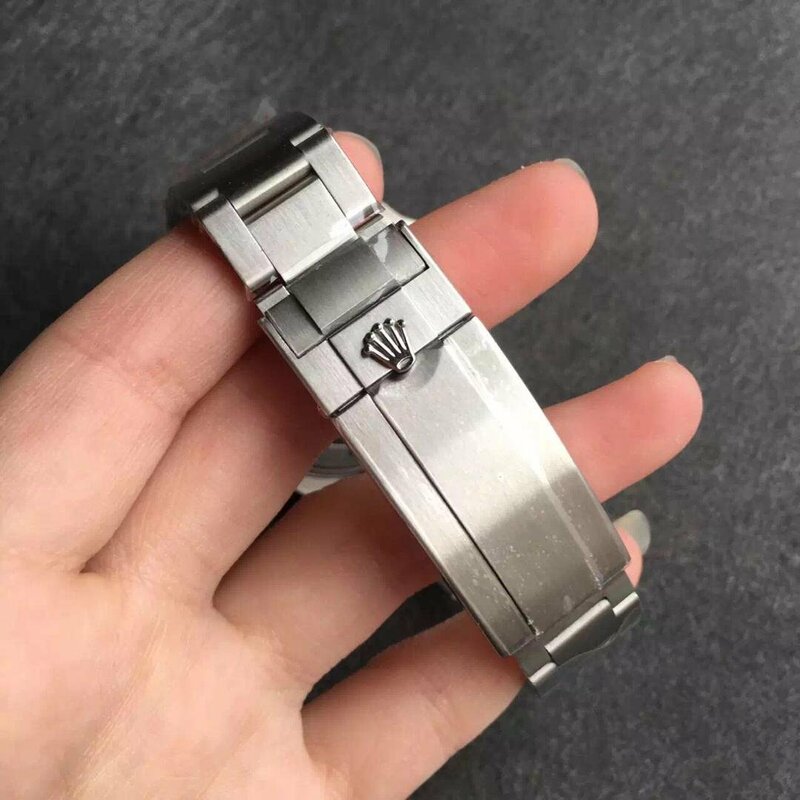 Its case is made of 316 stainless steel also decorates with anti-reflective coating, it is not only generous in shape but also has a good performance to protect the watch. 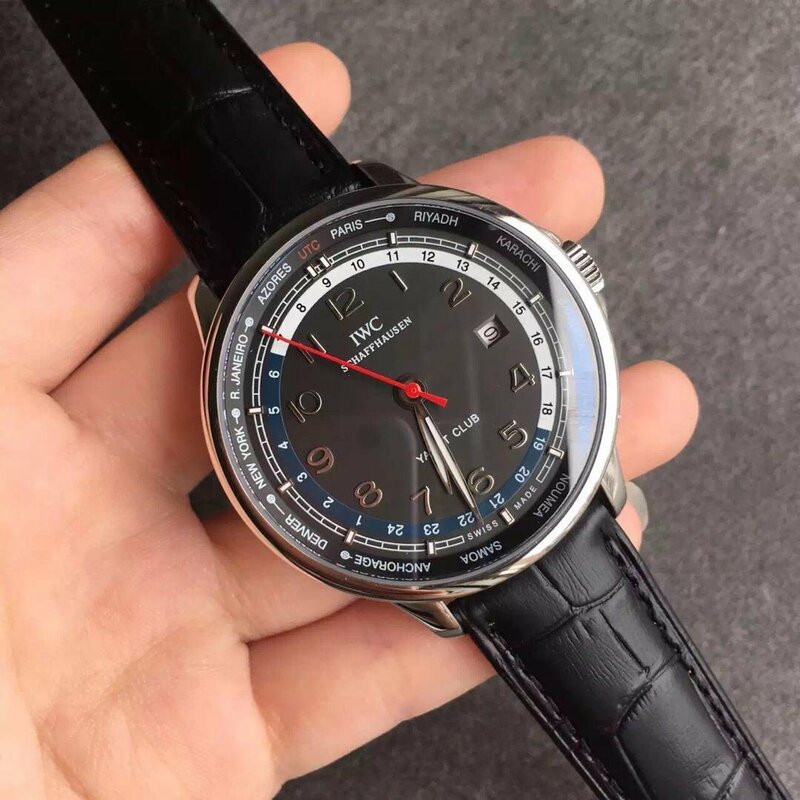 We can see this big dial is near full of all the places, it with simple style but it is easy in collocation and never out of fashion.The most important points we need to mention is that its capability is never affected even though it is simple in shape. When we see carefully, we find that it has another characteristic. Its second and minute hand separate in two place to display. In left, the place of nine o’clock, it is a small second dial. In right,the place of three o’clock is a dial of power reserve, we can see its energy situation clearly. 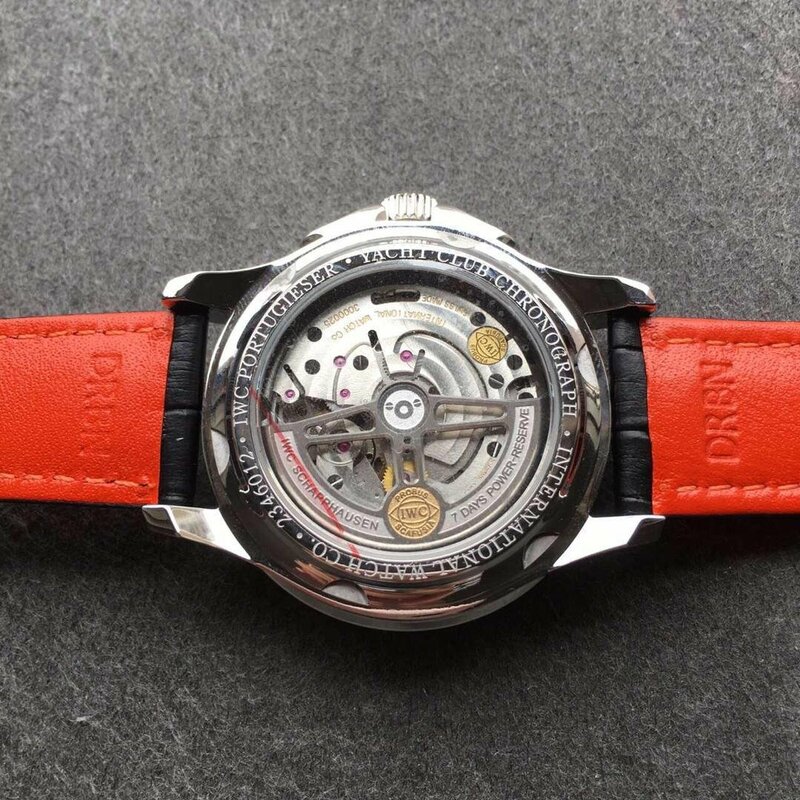 Decorating with red color in this small dial, can let us feel that it is not so single in color matching. it has a good balance in two side. At the place of six o’clock, it is a display of date. This is really a creative design in color matching. When we turn back the replica, we will admire its amazing back-case. Generous, this is the only word I want to express. 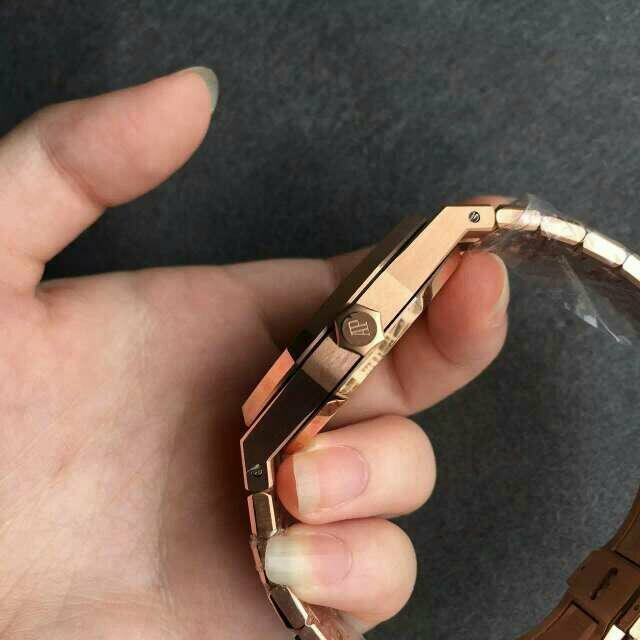 We can review the beauty of machine accompany with the moving of balance wheel clearly in such big back-case. It is liked that we are admiring a wonderful artwork. 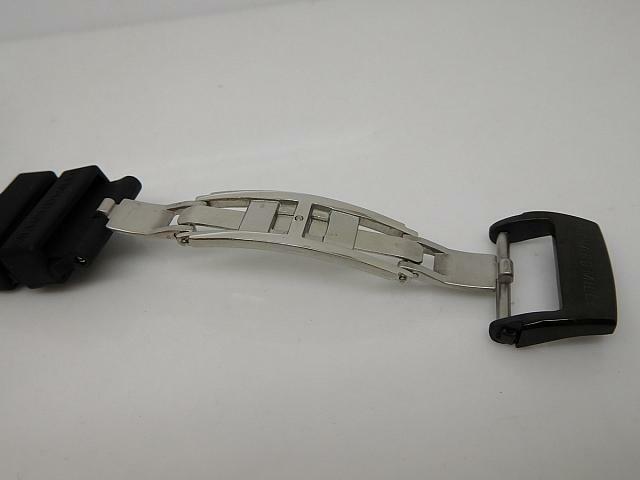 Next, let’s see its band and clasp. 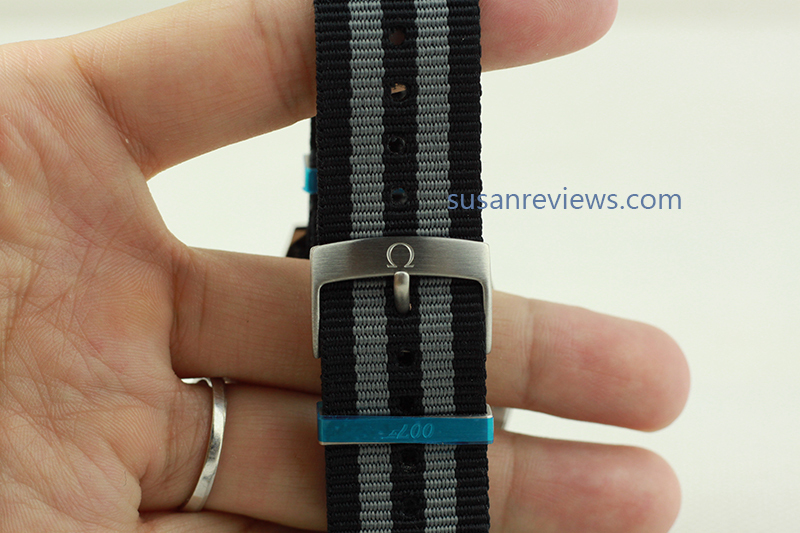 A good band need to be comfortable and durable in quality. 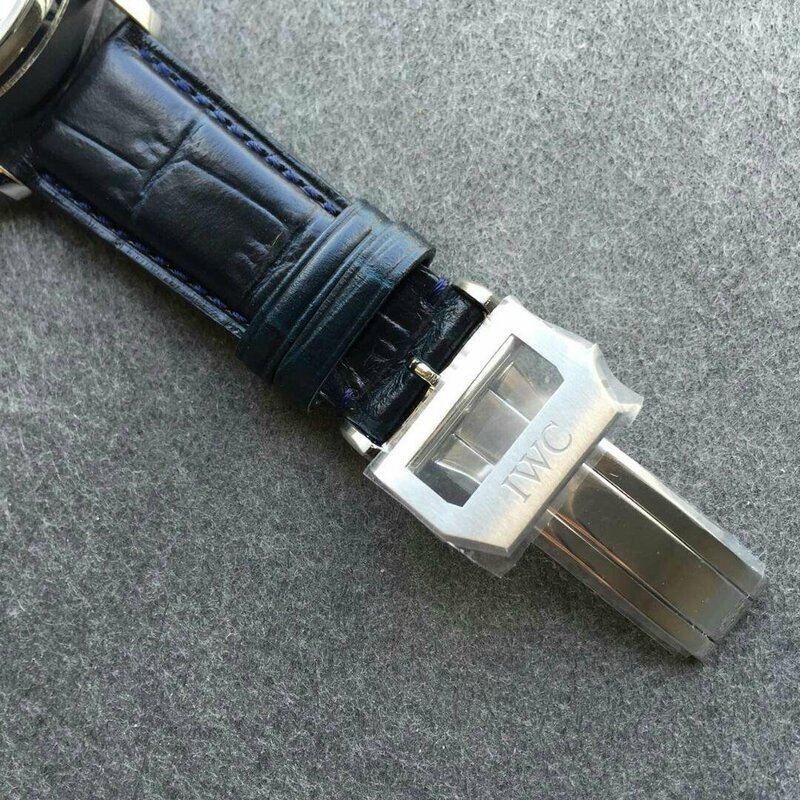 So the replica has do it so well in this detail, a folding clasp with classic 316 stainless steel and has IWC LOGO in it. 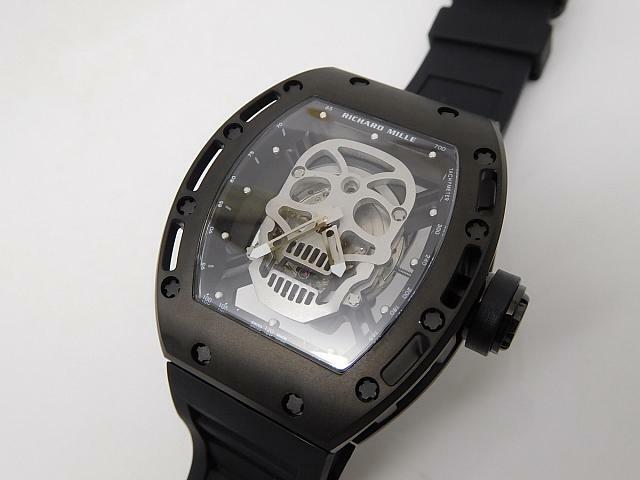 It reveals the taste of gentlemen and active sport style fully. 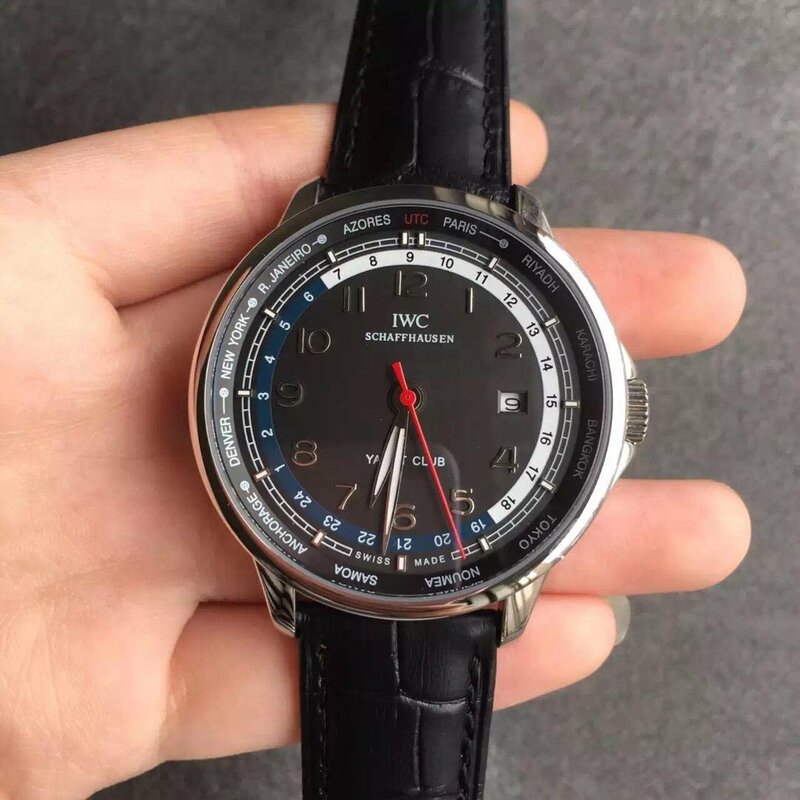 In the end, Let’s see an important element, this IWC Portuguese replica is equipped with a powerful movement, it is high clone CAL.51011, can keep over 120 hours power reserve. 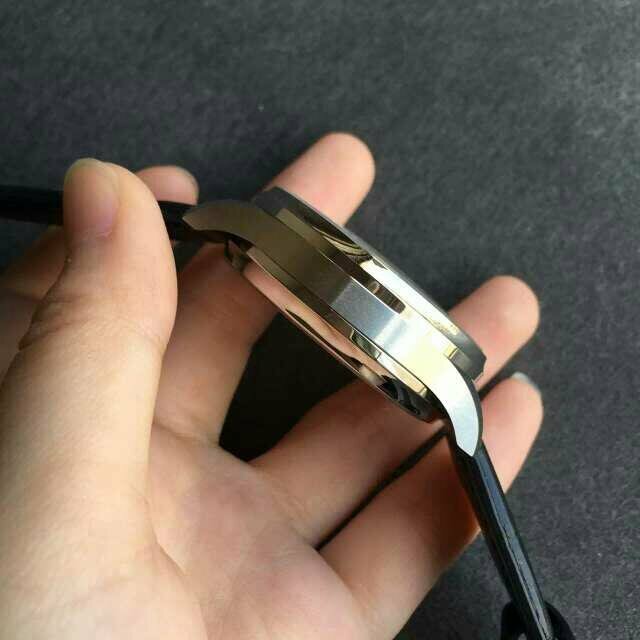 If normal watch, uses ETA movement, mainly can keep about two or three days. 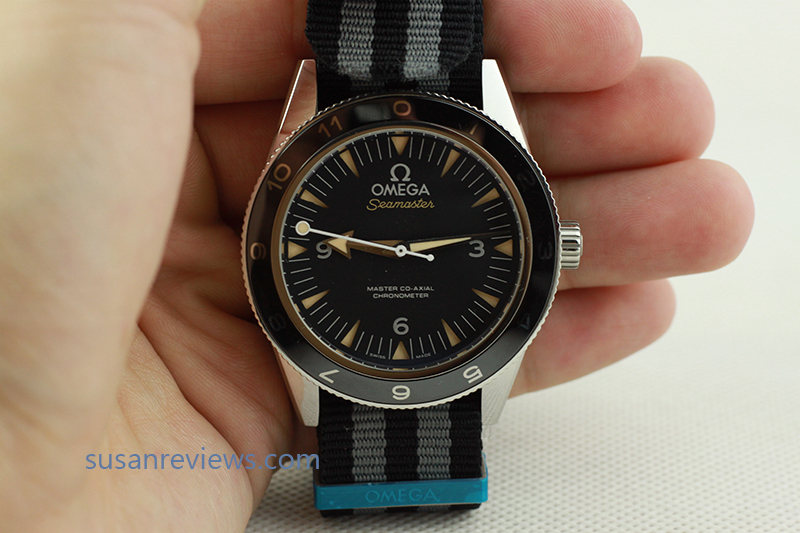 So this replica is really an excellent one with high copy technology. In my point of view, this replica is deserve to have one, it is not so luxurious and complicated, but is elegant and dedicated. You need to have such replica as your special artwork in hand. Nowadays, fresh style is becoming very popular in fashion world. When we mention the word “fresh”, a lovely view may appear in our mind naturally. 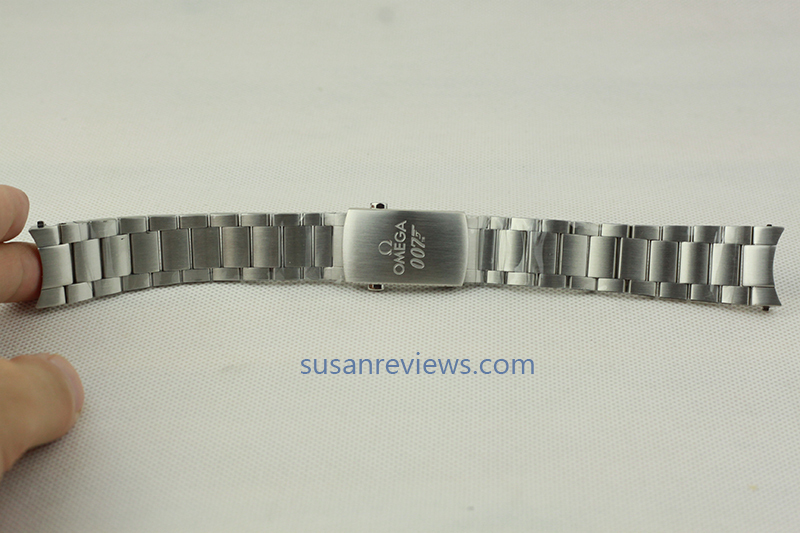 In the world of wrist watch, there are various of wrist watch with fresh style has admired by a lot of fans. 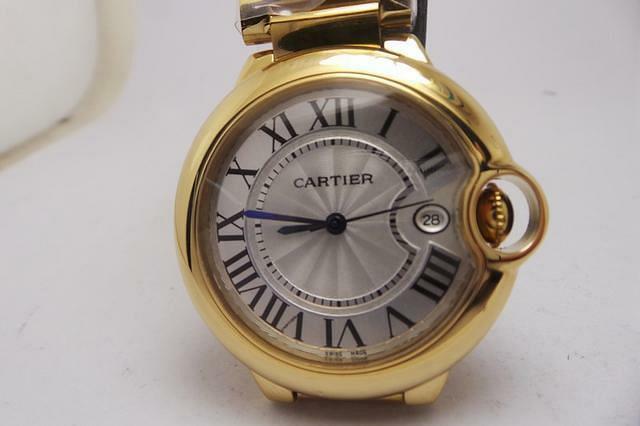 Today I am going to recommend a delicate replica, Balon Bleu de Cartier, which with middle size, is suitable for men and women. Do you want to be a member of fresh family. Let’s look at this replica. 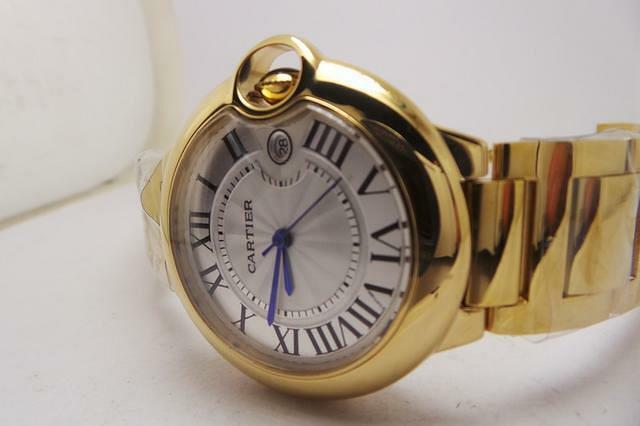 This Cartier Ballon Bleu replica is a middle size, 36.5mm in diameter, its design ideal has revealed a man with masculine temperature and a woman with soft temperature overall. 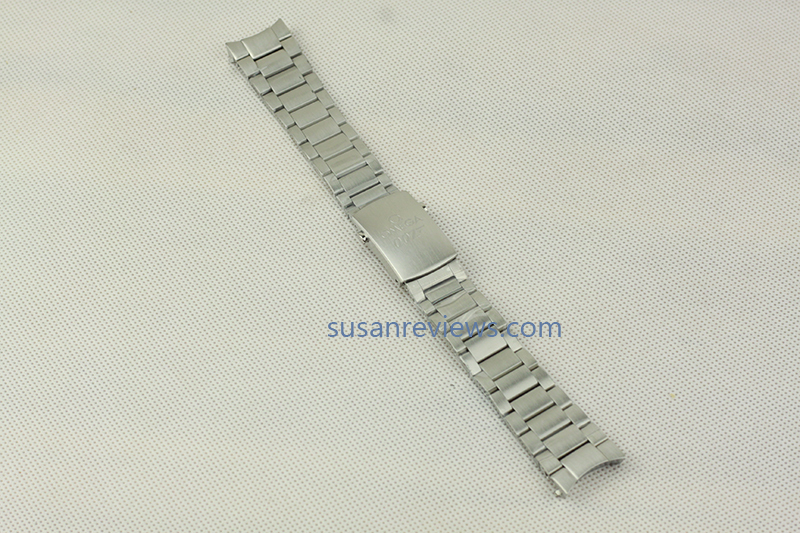 If you are planing to buy a wrist watch with slender shape. I think this replica is good for you. 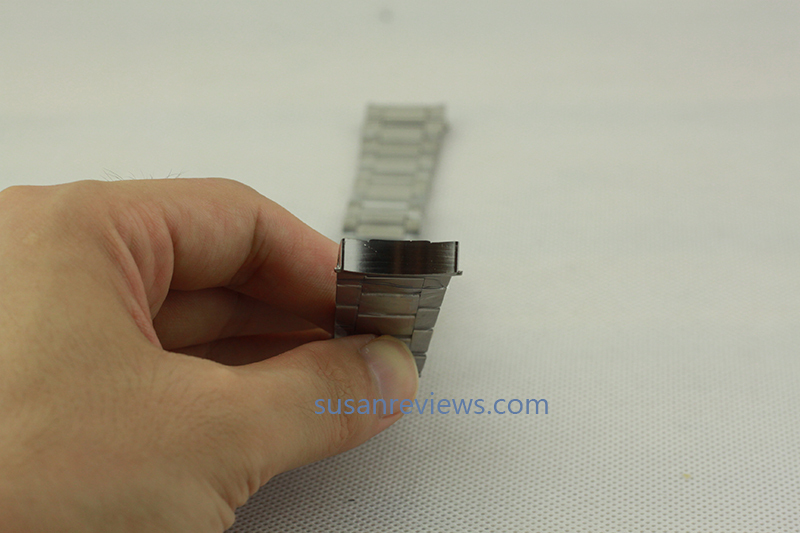 The most important and obvious characteristic of this wrist watch is its thickness, it only has 10mm. It is really ultra thin, which has created the feeling of lightness. 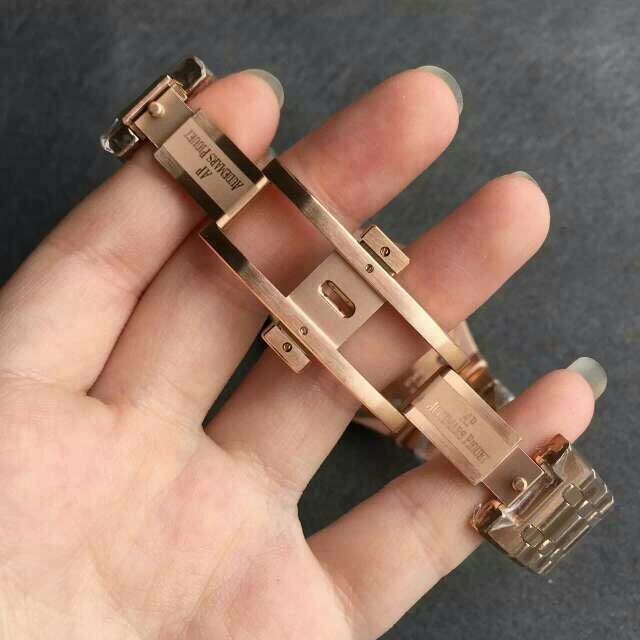 Its case was made of stainless steel which has been plated by 18k YG, and its bracelet as well. Using the united color as a whole, and its color was similar of rose gold, creating a noble feeling. The Roman numeral markers was full of its white dial, the blue steel hand was moving slowly, such detail has reflected its fresh style in design. A date display window was set in the palace of three o’clock. 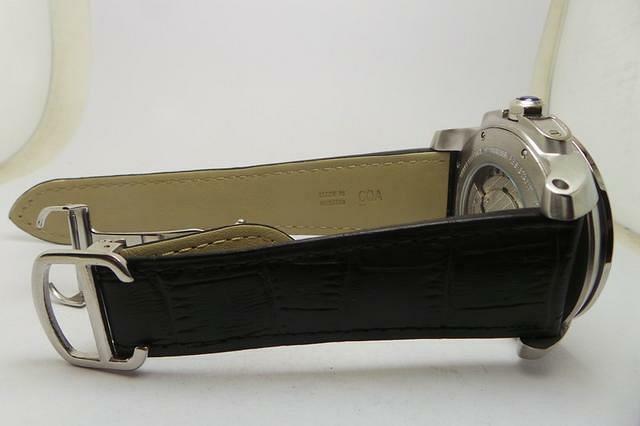 Matching with insignia deployant buckle, made this wrist watch more softer in appearance. 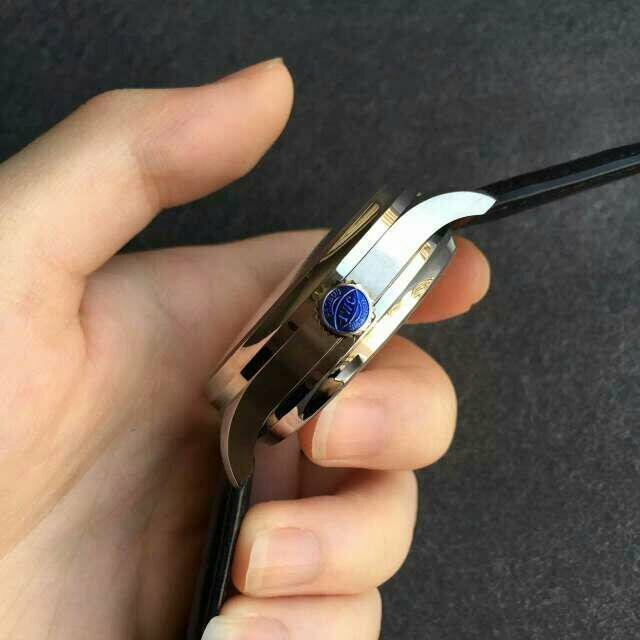 In addition, its case was decorated with synthetic sapphire, creating a bright view. 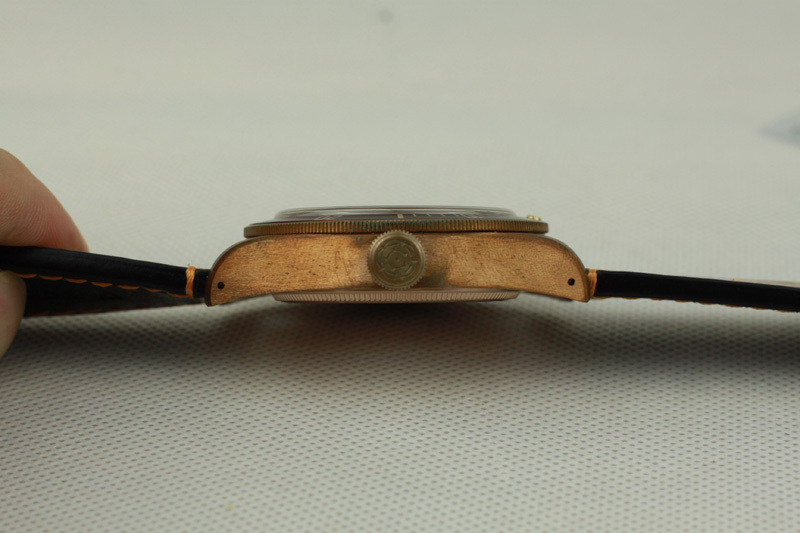 Considering of having a high lever in capability, this replica equipped with Japanese quartz movement. 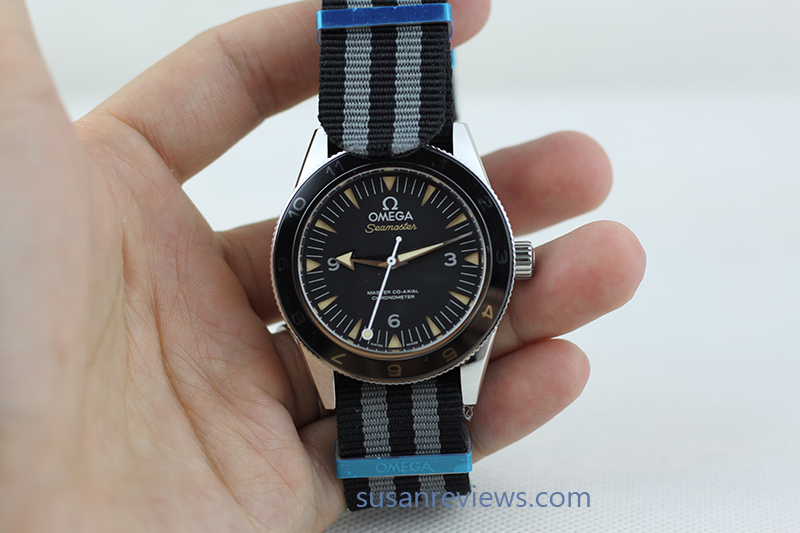 As we all known, Japan also the good manufacture of wrist watch. The movement which made for Japan may has good insurance in travel time. 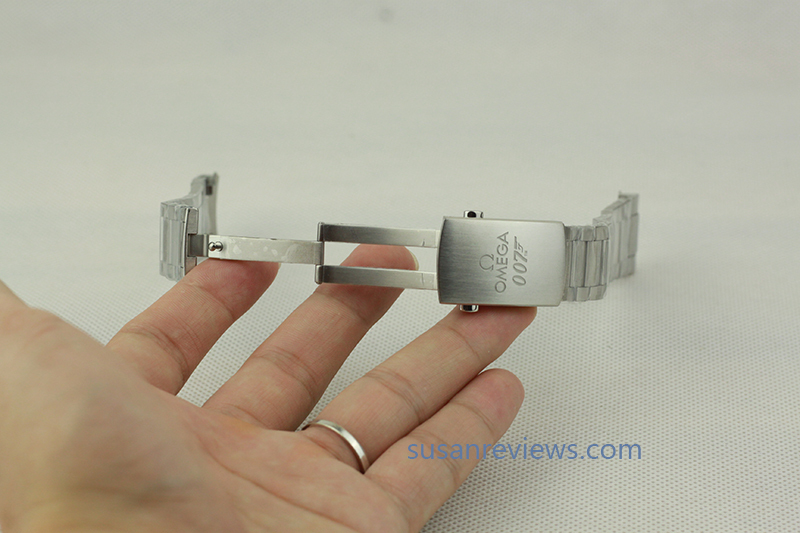 Even though it can not as power as automatic movement, it can satisfy your requirement in time with good quality. Finally, Through its solid case which also made of stainless steel. 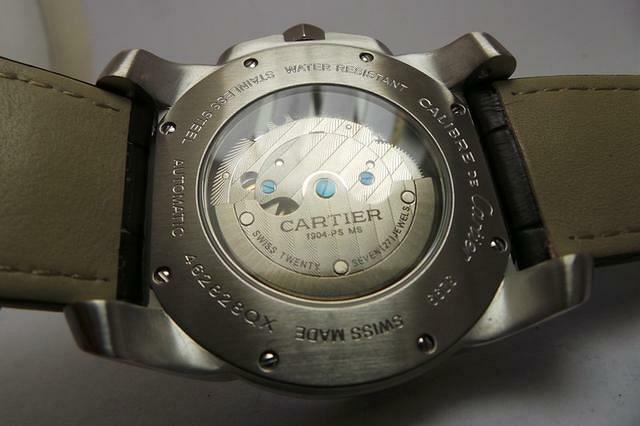 We can see the engraving detail, such as “Cartier” this brand logo. 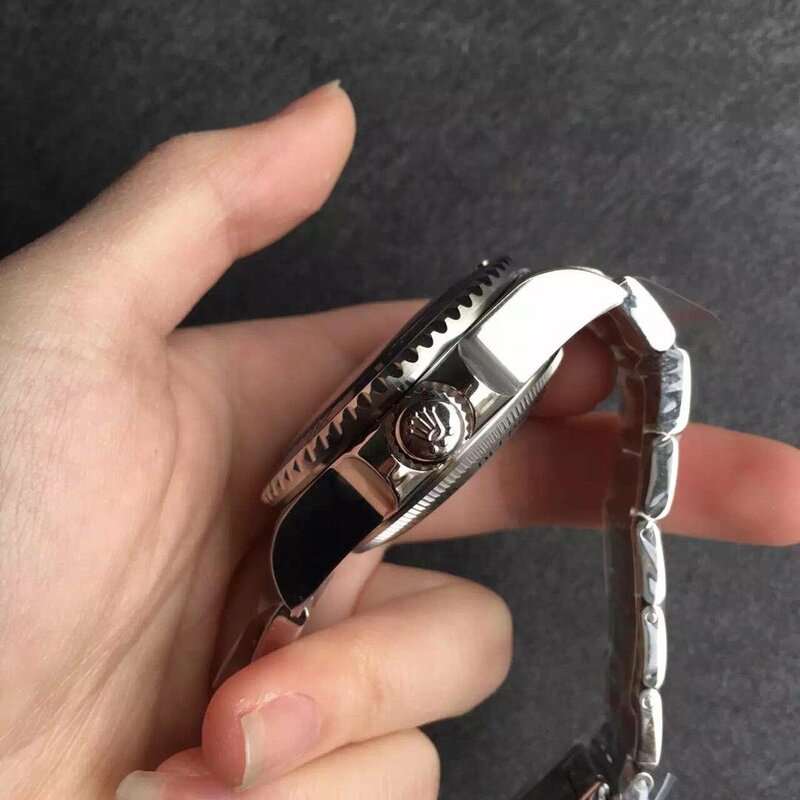 Owning this replica,give you a chance to show your elegance and with noble taste as a nice decoration in your wrist. Just need to cost less money to bring good influence to you, it deserve you choose. 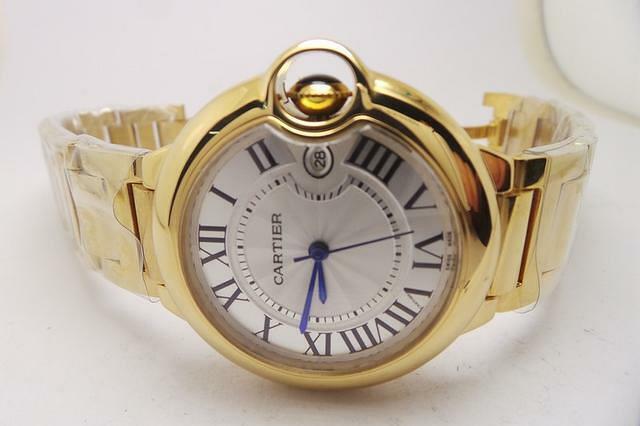 When talking about the world famous watch brand Cartier, maybe it has all kinds of charming and elegant ladies wrist watch in most of our impression. 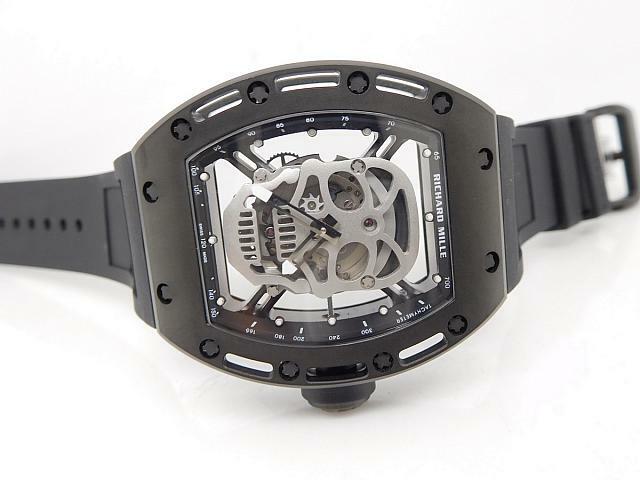 But we can not ignore some classic series of men watch. 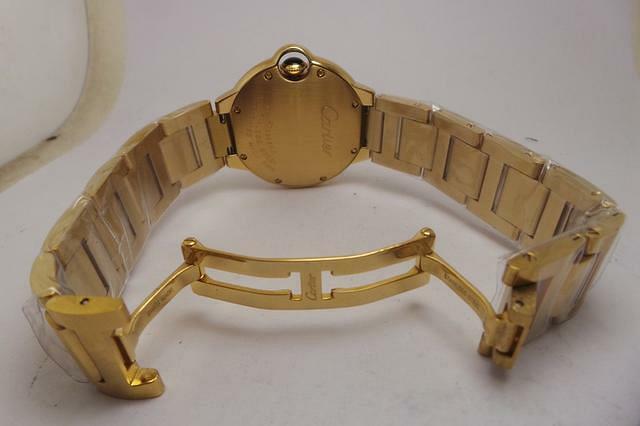 Today I am going to recommend an excellent replica, it was basic on the original one, Calibre de Cartier. After you know something about its detail, I think you may like it without any hesitation. 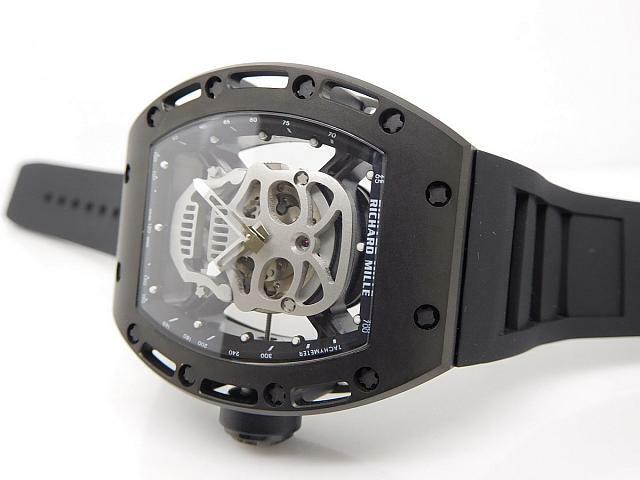 This replica with smooth lines, strong case, unique structure as a whole. It was so confident to reveal masculine characteristic of man. 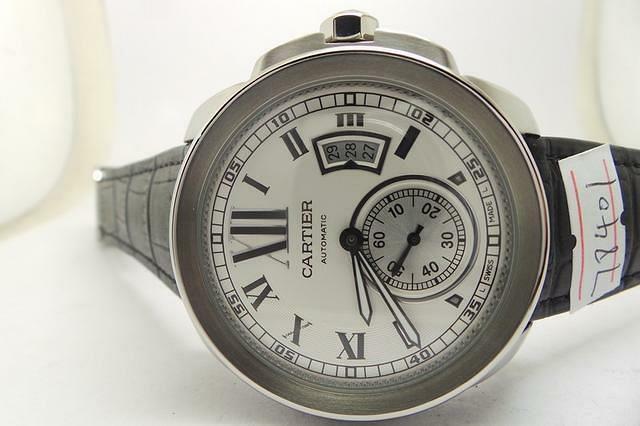 This replica Cartier watch features a case which was made of solid stainless steel, it has been gone through the process of polishing. It was so hard to resistant huge hit from outside. Besides, with gloss at the same time. 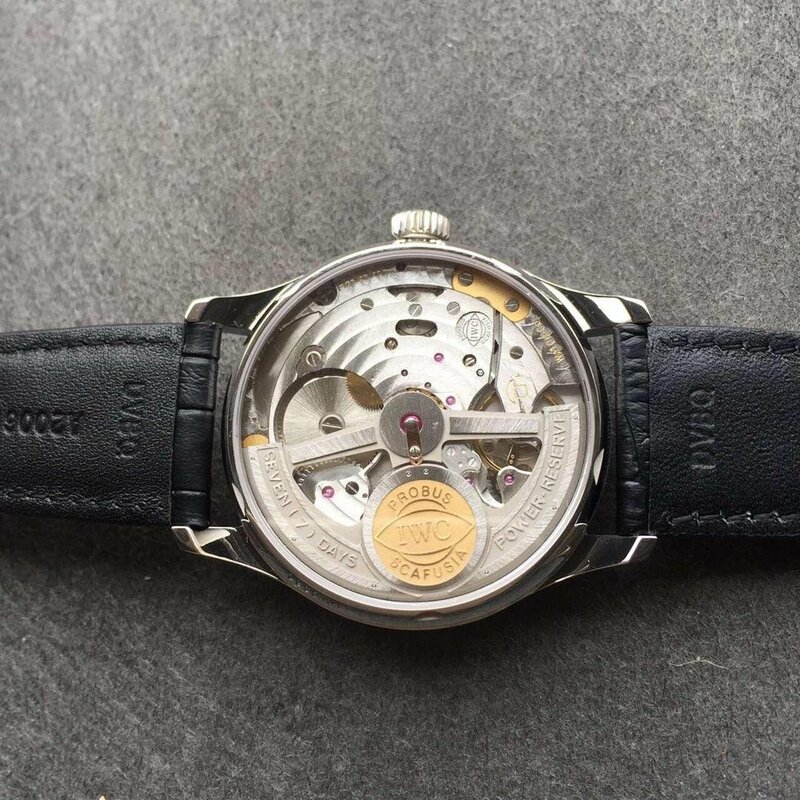 Through the synthetic sapphire, We can see that there are seven Roman numeral markers distribute in white dial steadily. Especially the marker set at twelve o’clock position. It was the biggest one among all the markers, which was so attractive that can be easier to get time information. The sword-shaped hands were moving along with the sub-dial which was set in the place of six o’clock. The date display window was bigger than other designs, it has three clear numbers showing to us. And the triangle pointed today’s date. 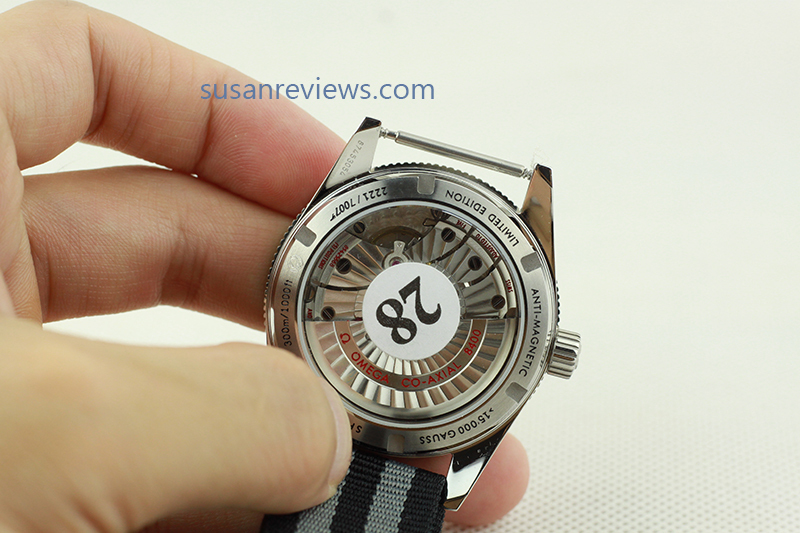 Its design of dial was simple without any complicated decoration. But its main motivation was to provide a good time information to you. 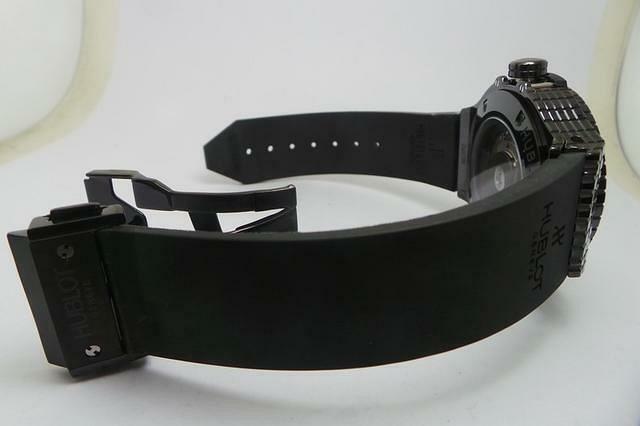 Matching with a leather strap, which would be more comfortable in tough feeling. Along with a insignia deployant buckle. 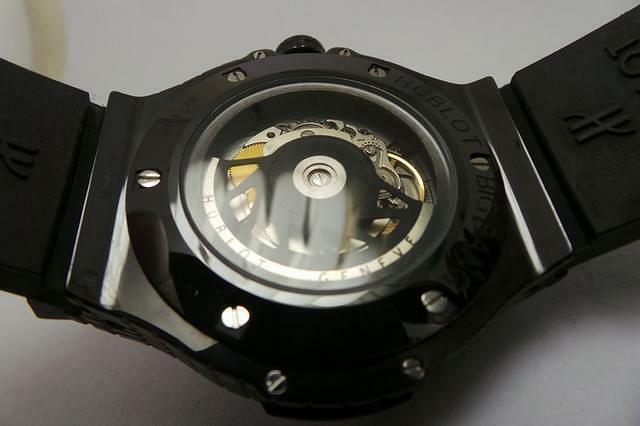 Through its transparent case back, we can observe the beauty of movement. 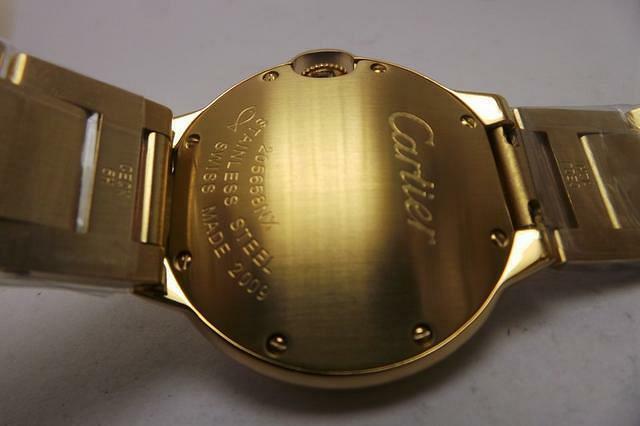 And has detail engraving on case rims. 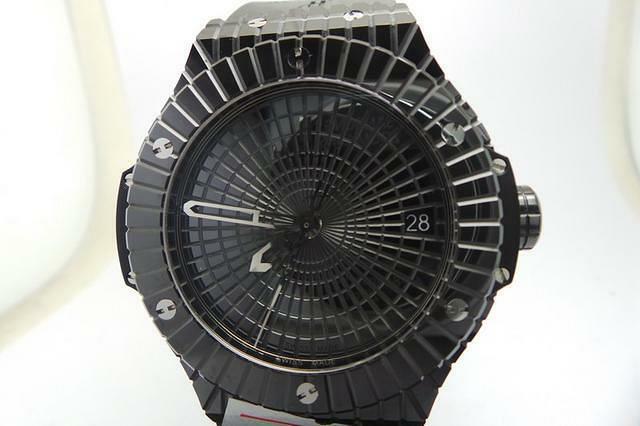 It equipped with Asia 2813 Automatic Movement, has plated with nickle. 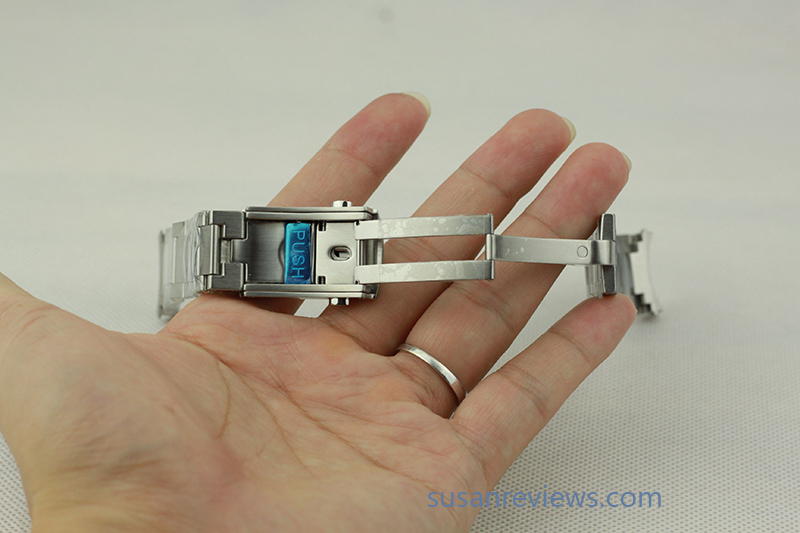 Besides , it has 21 pieces jewelry surround in the movement. With such powerful movement, you don’t need to worry about the problem that it really has effective performance or not. Because I am sure to tell you that it can provide accurate time. 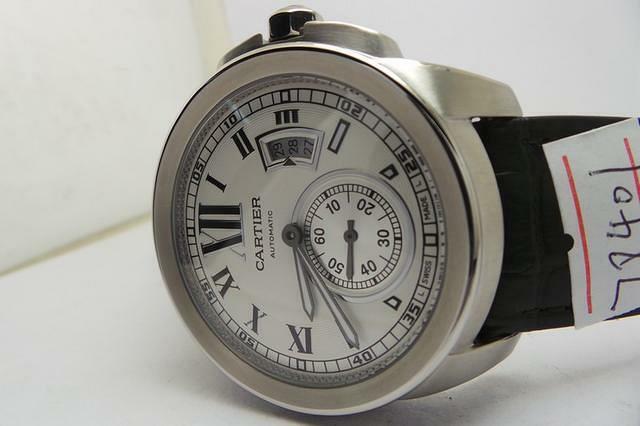 With brief and masculine style, this high quality Cartier Calibre replica was really a good choice because it was suitable for daily wearing actually. 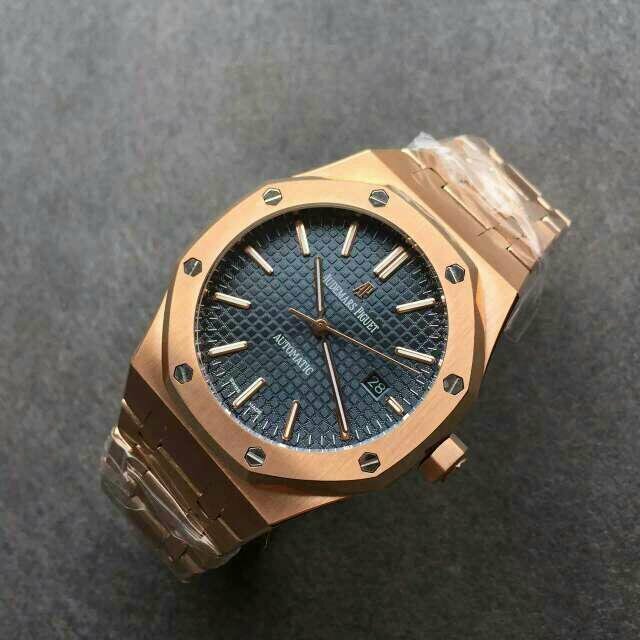 I can satisfy your basic requirement of wrist watch. The most important point is that its price is so cheap compare with the original but with the similar appearance and function.